Investors use ratings agency standings to guide decisions on where to put their money. Ratings agency Fitch has given the Coalition parties a pre-election boost, upgrading its rating on Ireland’s national debt. The agency said late on Friday it was changing Ireland’s rating from A- to A, with a stable outlook. The move follows a positive reassessment by Fitch of the prospects for strong economic growth in Ireland and steady improvements in the public finances. At the end of a week in which the unemployment rate fell to 8.6%, the agency also cited a strong projection for further employment growth. Investors use ratings agency standings to guide decisions on where to put their money, so an upgrade in Ireland’s rating should help to hold down the cost of raising new debt. Although the assessments of Fitch and its rivals are crucial, Ireland’s borrowing costs have also been compressed by the European Central Bank’s bond-buying campaign. Irish’s 10-year bond yields are trading at a low level, and the 2026 bond had an interest rate of just under 1 per cent on Friday, having traded around 0.85 per cent during the week. However, some nervousness ahead of the general election has led to a small increase in the gap between Irish bonds and those of other EU countries such as France and Belgium over the past week or so. The NTMA is due to raise new funds next week, so the Fitch move will be welcome. Fitch, in a statement, referred to the strong macroeconomic performance and an improving budget picture. It particularly noted the move to a so-called primary budget surplus – a measure of the national borrowing position before repayments on the national debt are included. Fitch is forecasting a 4% rise in GDP this year and believes Ireland’s debt to GDP ratio is now on a firmly downward path. The agency has been very positive in previous assessments of the Coalition’s performance, saying after the October budget that some fiscal easing ahead of the election was not a surprise. Fitch said then the overall budget package was consistent with improving public finances, although it said the stimulus was “pro-cyclical and therefore likely to increase economic volatility”. At the same time, it said this year’s budget did not change its expectation of further deficit narrowing. The upgrade from Fitch came as US bond investor Michael Hasenstab of the Franklin Templeton fund, who bought 10 per cent of the Irish bond market after the State was bailed out, said he had exited his Irish position. He added, however, that the bonds should continue to perform well. Mr Hasenstab said the recent underperformance of Irish bonds was “short-term noise”, praised the State’s “strong” economy and dismissed any lasting fallout from the “Brexit” debate. “Irish yields deserve to be more in line with core European yields,” said Mr Hasenstab, who made big profits on his 2011 Irish bet, which he made when the State was locked out of financial markets and its 10-year bond yields peaked around 15%. Renua Ireland have claimed they will hold the balance of power after the Election. Lucinda Creighton’s party are convinced they will enter coalition with Fine Gael despite remaining “wary” of the party, she said today. Ms Creighton said her party is adamant it will form part of the next government, whatever that may be. “It is important for us and indeed it is important for the Irish people that Renua Ireland will be a part of the next government,” she said. However she added that there is “no difference” between Fianna Fáil and Fine Gael who have played “Punch and Judy politics” over the past decade. “Anything can happen. It’s going to be a long campaign. We will be mounting a serious challenge and we are just focusing at the moment on winning as many seats as we can,” she said. She said the party was still wary of Fine Gael considering the length of time it took Mr Enda Kenny to rule out doing a deal with Tipperary Independent TD Michael Lowry. Speaking on radio this morning, Mr Kenny said he would not consider doing business with Mr Lowry after the General Election. Speaking outside Dublin Castle this afternoon, the party outlined their red-line issues which they claim will not be sacrificed in any negotiations for a new coalition after the General Election. Renua want to establish a public commission on a flat tax which would report in nine months. They would also introduce a Fiscal Responsibility Bill to prevent “the boom-and-bust politics that has plagued our economy”. Nurses have called off planned industrial action at seven of the country’s emergency departments. Members of the INMO have accepted revised proposals to tackle overcrowding and staffing at emergency departments in hospitals around the country. They have voted 71% in favour of the revised proposals from the Workplace Relations Commission. The INMO has said: “(We) will now insist that all of the hospital and group level structures, involving engagement between hospital management and INMO ED members continues on a weekly basis. “This is necessary to ensure continuous implementation of the, now agreed, System Wide Escalation Policy which places the pressures on Emergency Departments at the centre of all health service activity. Minister for Health Leo Varadkar has welcomed the outcome of the vote. “I welcome this decisive ‘yes’ vote by Emergency Department INMO members who voted by a margin of 71% to accept the measures proposed by the Workplace Relations Commission,” said Minister Varadkar. “I can assure staff of my personal commitment to seeing that the agreement is implemented in full. 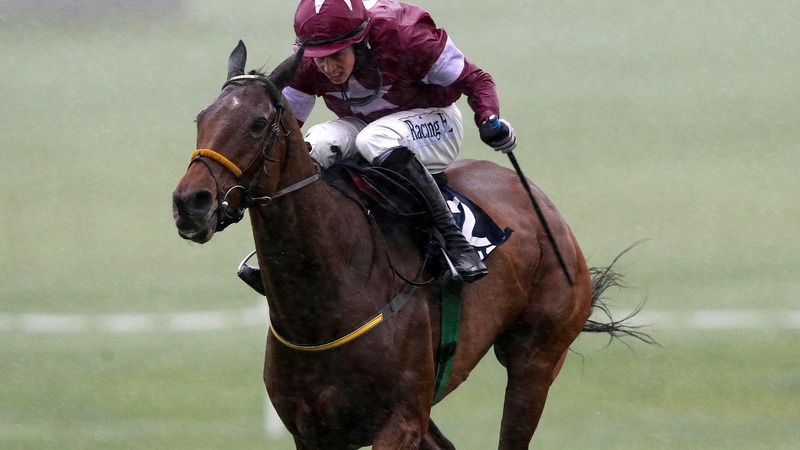 A lifetime ban for any horse who has been illicitly administered prohibited substances and increased frequency of out of competition testing are two of the main recommendations from a report published on Thursday by Horse Racing Ireland. The Irish Thoroughbred Industry Anti-Doping Task Force was set up following the disqualification of trainer Philip Fenton in 2014 after he was found to have banned animal substances, including anabolic steroids, in his possession. In response the HRI board, in conjunction with the Turf Club, established a 16-member industry-wide Anti-Doping Task Force, chaired by HRI vice-chair and now senior steward of the Turf Club, Meta Osborne, to assess the issues. The findings of the report have now been made public with the main recommendation being a lifetime ban from Irish racing for horses administered a banned drug at any time, anywhere in the world. They also advocate no automatic therapeutic use exemption for anabolic steroids, while underlining the need for the Irish racing and breeding industries to have access to a laboratory which meets the best international standards, is based in Ireland and operates under either a permanent relationship with, or a long-term support from, the Irish racing authorities. Augmented out of competition testing and a significant increase in the number of samples collected and analysed each year to achieve operational and cost efficiencies are two other key points. A single national equine drug control laboratory should be considered, according to the report, with the need for the Turf Club to establish a dedicated Anti-Doping Unit also underlined. Educational programmes and clear guidelines as well as ongoing research into the issue of doping are also recommended, with the Task Force reconvening in six months to review progress. HRI has approved expenditure of over €1.8 million to purchase new laboratory equipment and ensure appropriate facilities while it will also support the cost of additional sampling, higher levels of out of competition testing and the creation of a new the anti-doping unit through its integrity budget. Brian Kavanagh, HRI chief executive, said: “Setting up the Anti-Doping Task Force was vital in order to protect the reputation of our racing and breeding industry, and Horse Racing Ireland welcomes the consensus reached and the strong recommendations that have been set out. “The industry is worth over €1 billion annually to the Irish economy, and our international position as a world leader must be maintained. “HRI will support the recommendations of the Task Force through the significant and continuing investment that is being announced today. Osborne was pleased to see the recommendations being implemented so swiftly in the sport. She said: “I am delighted that the Anti-Doping Task Force has produced an agreed consensus statement and report which the industry has been able to support and unite behind. “The key objectives are to eliminate cheating and to ensure that horse welfare is paramount. “The announcement of a lifetime ban for any horse found to have been illicitly administered any substance “prohibited at all times“ including anabolic steroids is an unequivocal statement that cheats will not be tolerated within Irish racing. DNA evidence from the ancient bones and teeth of people who lived in Europe near the end of the last Ice Age shows a major shift in the population around 14,500 years ago during a period of severe climatic instability. “We uncovered a completely unknown chapter of human history: a major population turnover in Europe at the end of the last Ice Age (Late Pleistocene to the early Holocene),” said lead author Johannes Krause of the Max Planck Institute for the Science of Human History in Germany. 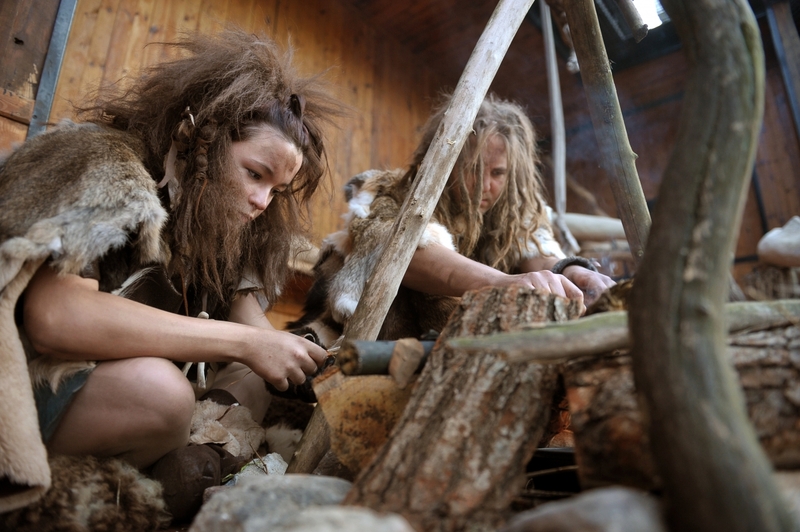 The researchers pieced this missing history together by reconstructing the genomes of 35 hunter-gatherer individuals who lived in Italy, Germany, Belgium, France, the Czech Republic, and Romania from 35,000 to 7,000 years ago. “There has been a real lack of genetic data from this time period, so consequently we knew very little about the population structure or dynamics of the first modern humans in Europe,” Krause added. The new data show that the mitochondrial DNA of three individuals who lived in present-day Belgium and France before the coldest period in the last Ice Age belonged to haplogroup M.
This is remarkable because the M haplogroup is effectively absent in modern Europeans but is extremely common in modern Asian, Australasian and native American populations. The absence of the M haplogroup and its presence in other parts of the world had previously led to the argument that non-African people dispersed on multiple occasions to spread across Eurasia and Australasia. The researchers say the discovery of this maternal lineage in Europe in the ancient past now suggests instead that all non-Africans dispersed rapidly from a single population, at a time they place around 50,000 years ago. Then, at some later stage, the M haplogroup was apparently lost from Europe. The biggest surprise, however, was evidence of a major turnover of the population in Europe around 14,500 years ago, as the climate began to warm. 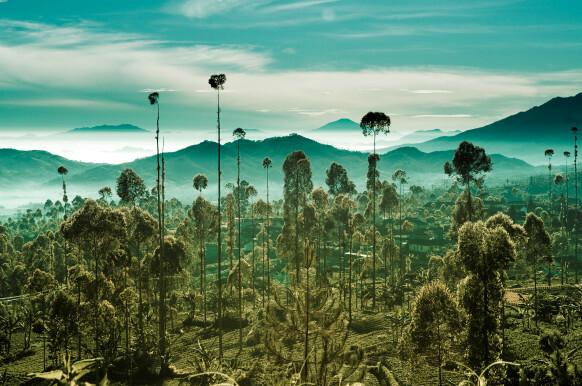 “Our model suggests that during this period of climatic upheaval, the descendants of the hunter-gatherers who survived through the Last Glacial Maximum were largely replaced by a population from another source,” explained Adam Powell, senior author at the Max Planck Institute in a paper published in the Cell Press journal Current Biology. The next step is to construct a more comprehensive picture of the past by analysing the complete genomes of these ancient individuals along with additional specimens representing more times and places. 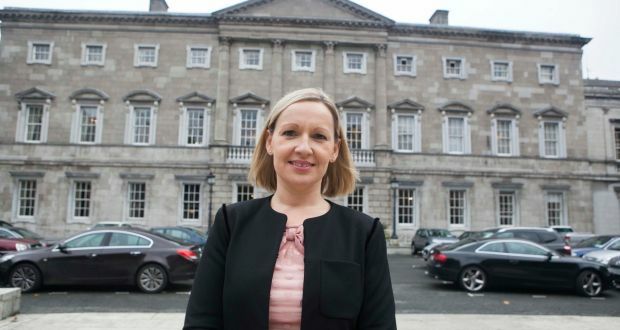 Bankers who recklessly lend money to people should face jail, Renua Ireland leader Lucinda Creighton has said. The leader of one of Ireland’s newest political parties was at Leinster House to publish her party’s plan on tackling white-collar crime. Renua Ireland TD Billy Timmins said the Irish justice system does not take white-collar crime as seriously as so-called ordinary crime. “If you steal an apple in Moore Street, odds are you will go through the process. But we know that many big criminals involved in company crime and fraud get away with it,” Mr Timmins said. The party has published a 10-point plan aimed at increasing action against white-collar criminals, including making reckless lending a criminal offence – as recommended by the Central Bank governor Patrick Honohan. “There is a really strong sense that notwithstanding the extraordinary collapse of the banking system and the massive destruction caused to the economy which has affected the lives of ordinary citizen, nothing has really changed,” Ms Creighton said. The former Fine Gael junior minister said the policy would bring real accountability to actions and failures to act in the business world. “We will introduce legislation which imposes criminal liability on a senior manager of a banking institution, fund or insurance undertaking who knowingly puts the viability of the institution at risk,” Ms Creighton said. 1. Criminal sanctions for company directors who conduct business recklessly, based on laws already in force in Australia. 2. Curbing the use of limited company liability to escape punishment for breaking the law. 3. Tightening provisions to ensure claiming ignorance of the law is not a defence. 4. Reducing scope for sentence mitigation on grounds of previous good character or “good family”. 5. Improving training for all company directors. 6. Facilitating whistleblowers – including giving them a percentage of taxpayers’ money recouped from detecting wrong-doing. 7. A special white-collar crime court with streamlined procedures and more training for judges and lawyers. Asked generally about the new party, just launched in March, Ms Creighton said they are organised in all 40 constituencies nationwide in a very short space of time. She conceded that she had said the party needed something like €1m to run a national election campaign but they had decided from day one not to take company donations. “So the party in every constituency in the country is engaged in fundraising. It is amounts, big and small but mainly small, from individuals and not companies,” she said. Ms. Creighton said by the end of next week 14 candidates will have been selected. “I think that is excellent for what is a party only launched weeks ago,” she added. Wicklow TD Mr Timmins said the new party could not match the spending power of the big parties. He said unlike the big ones it got no taxpayer funding as this is decided at the start of each Dail term. “But we have something special and that is the enthusiasm and commitment of our new members who want to change Irish politics for the better,” Mr Timmins said. A number of candidates attended the launch, including Cllr Patrick McKee who stood in the recent Carlow-Kilkenny by-election. Dónal Clancy, managing director of Laya Healthcare, blamed a rise in the number and cost of claims for price rises that will apply to more an half the firm’s customers from September. Most Laya Healthcare customers will face price increases averaging 4% from the beginning of September. 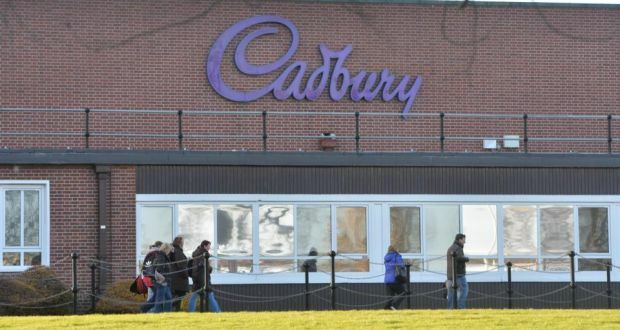 The company blamed the price increases on a significant increase in the volume and cost of claims over the past year. The price increases will apply to around 55% of policies and will apply to policies renewed after September 1st. Laya says it has around 500,000 customers. Laya managing director Dónal Clancy said the company was “acutely conscious of the impact” the increases would have and said it had “tried to minimise the impact across our schemes”. “We have protected 49 of our schemes from a price increase, and minimised the impact on families with our free kids cover,” Mr Clancy said. He said the price rises had been driven “by the significant increase we have experienced in the number and costs of medical claims in the past year”. Mr Clancy said Laya had seen an 18% increase in the volume of claims while the cost of claims has climbed by 15% over the last 12 months. “While better practices, high-spec technology and improved treatments are all translating into better patient outcomes, they are driving medical costs higher; which in turn has a negative impact on premiums,” Mr Clancy said. He also pointed to a medical cost management programme implemented by the company which he suggested would deliver efficiencies of €100 million between 2012 and 2016 and had helped minimise the increases. The Laya price increase sees it join GloHealth and Aviva in upping prices this year and attention now is likely to focus on what will happen and the State’s largest insurer, the VHI. While VHI has made no announcement on its pricing plans, an increase of some kind before 2016 seems likely. Almost 100,000 new private health insurance policies were sold earlier this year as people rushed to enter the market to avoid age-related penalties introduced at the beginning of May. Under the new Lifetime Community Rating (LCR) regime which started on May 1st, anyone aged over 34 without private health insurance has to pay higher prices when they take out a policy. While the price increases will attract most attention, Laya healthcare also announced a range of new and extended benefits. It has extended its “Free Kids” cover to its Essential Connect Health plan for a second child and every child up to the age of 18. It will also reduce child rates on 18 schemes by between 3 and 6% and has promised to extend its 24 hour confidential GP Line. The Support Your Local campaign said increases in the cost of a bottle of wine goes against the spirit of the European Project. The group is calling on the Government to reduce excise duty on the beverage in the next budget. It says a €1.50 increase since 2012 is having detrimental impact on farmers across the continent, while lowering the quality of wine being consumed here. 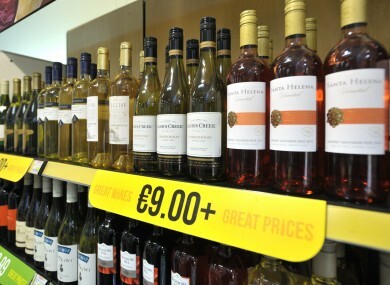 “€1.50 has been added in excise to a bottle of wine over three budgets,” said Evelyn Jones of the National Off-Licence Association, adding that the group is campaigning for a 50c reduction – one-third of the recent increase. “The fact of the matter is that that Government is choking the quality out of an artisan product that’s produced by farmers across Europe. There are a handful of wineries and vineyards in Ireland, but they are small in scale. The Lusca winery in Lusk, Co Dublin, produces only a few hundred bottles a year from vines next to their apple orchard. Human eternal life is just around the corner? New research by molecular scientists at Northwestern University has led to the development of a procedure that allows them to switch off the aging process in worms. 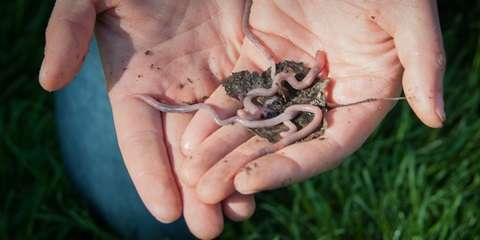 As with most organisms, the worms initially showed that their adult cells began deteriorating when they reached reproductive maturity. The aging process — versus growing — begins because biological functions that protect cells within the body are shut down. Since humans have the same genetic switch, the findings lend credence to the hope that humanity may one day be able to alleviate the aging process and certain degenerative diseases, according to the Daily Mail. Morimoto is the Bill and Gayle Cook Professor of Molecular Biosciences and director of the Rice Institute for Biomedical Research in Northwestern’s Weinberg College of Arts and Sciences, where he has been building up to his latest findings for a decade. The study was published in the 23 issue of the journal Molecular Cell. The transparent roundworm C. elegans has a biochemical environment similar to that of humans and are a popular research tool for the study of the biology of ageing and are used to model human diseases. “C. elegans has told us that aging is not a continuum of various events, which a lot of people thought it was,” Morimoto said. Harmful drinking is a middle-class phenomenon? Wealthy over-50s are endangering their health by drinking far too much, UK experts have warned. Harmful drinking is a ‘middle-class phenomenon’ with older, successful people at most risk, AGE UK has warned. Although affluent middle aged people often appear to look after themselves by eating well and exercising regularly, they are actually far more likely to drink too much than their less successful peers. 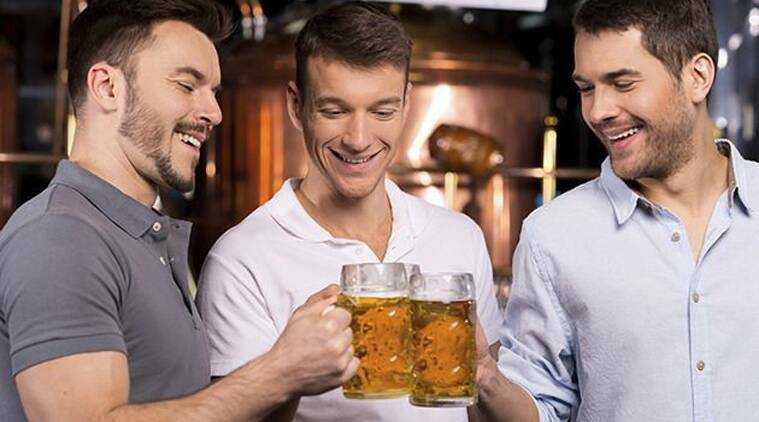 Current NHS guidelines advise that men drink no more than 21 units a week – roughly 10 pints of beer. Women are advised to stick to 14 units, around seven glasses of wine. Drinking too much alcohol is directly linked to over 60 medical conditions including liver disease sevenfold, mouth cancer fivefold and stroke threefold. For women, breast cancer risk doubles. An four-legged snake, Tetrapodophis amplectus a salamander. Scientists have discovered a 113 million-year-old fossil of a snake which has four legs with fingers and toes. The Tetrapodophis amplectus – nicknamed ‘huggy snake’ – is the first evidence found of a four-legged snake. The 20cm-long skeleton, which is thought to be from Brazil, has a tiny head the size of a human fingernail. It has two very small front legs with wrists, elbows and hands and slightly longer back legs, which would have been used to grasp its prey. The fossil, which is of a juvenile, also shows adaptations for burrowing, rather than swimming, strengthening the idea that snakes evolved on land. Dr Dave Martill, who discovered the unseen fossil in a collection in a German museum, said it is “an incredibly significant specimen”. The University of Portsmouth professor said: “It is generally accepted that snakes evolved from lizards at some point in the distant past. “What scientists don’t know yet is when they evolved, why they evolved, and what type of lizard they evolved from. Dr Martill has been working with expert German palaeontologist Helmut Tischlinger and Dr Nick Longrich, of the University of Bath, who studied the evolutionary relationships of the snake. Dr Longrich, who had previously worked on the origins of snakes, became intrigued when Dr Martill told him the story at the local pub in Bath. He said he was initially sceptical, but when Dr Martill showed him photographs, he knew immediately that it was a fossil snake. He said: “A four-legged snake seemed fantastic and as an evolutionary biologist, just too good to be true. “It is a perfect little snake, except it has these little arms and legs, and they have these strange long fingers and toes. “The hands and feet are very specialised for grasping. So when snakes stopped walking and started slithering, the legs didn’t just become useless little vestiges – they started using them for something else. Interestingly, the fossilised snake also has the remains of its last meal in its intestine, including some fragments of bone. The prey was probably a salamander, showing that snakes were carnivorous much earlier in evolutionary history than previously believed. Taoiseach Enda Kenny prior to his address at the MacGill Summer School. Irish emigrants are not returning to the country because they fear they will get “screwed” for tax, Taoiseach Enda Kenny has claimed. Speaking at the MacGill summer school, where he was greeted by several dozen anti-water charge protesters on Friday evening, Mr Kenny said the tax rate was “too high a rate and it kicks in too early”. He reiterated the plan to cut the 7% rate of Universal Social Charge in the forthcoming Budget. He wanted 2016 to be “our own year of family reunification, where our children come home at last from Melbourne or London or New York”. Addressing the packed room, Mr. Kenny referred to the theme of this week’s summer school, ‘Ireland at the crossroads’, noting there was also a political crossroads. He said people had two roads to choose from. They could choose the road to strengthened economic recovery, or decide to take another road “that’s maybe unmined or unmapped and certainly untested”, a road that “gambled the recovery”. The Taoiseach also said he believed the next general election would be “like the Grand National” with “lot of runners and riders”. Mr Kenny took several questions from the floor, including one from a local Fine Gael councillor and one from Michael Gallagher, whose son Aidan was killed in the Omagh bombing. Mr Gallagher said he had “repeatedly asked” for an opportunity to meet the Taoiseach in relation to a report on the bombing that had been presented to him in 2012. Mr Kenny said he would fix such a meeting “as soon as I can, but it will probably be September”. There was a heavy Garda presence around the village on Friday as a group of protesters gathered outside the Highlands Hotel ahead of Mr Kenny’s address . Crush barriers were brought in early in the morning and cones were used to restrict parking on the main street. The Garda helicopter also patrolled overhead. During the afternoon’s session on rural Ireland, protesters could be heard shouting and chanting outside. Catherine Murphy TD told the event a “culture of excessive secrecy” pervaded our politics. “It is only after the event that we get a glimpse of a decision or set of decisions that on too many occasions favour those in the know; those with connections and those with money. It is quite destructive and indeed highly offensive to the vast majority of people. She said she got a glimpse of some of that when she pursued the issues surrounding Siteserv and IBRC. Archbishop Diarmuid Martin told the summer school he was concerned that a poor policy on migration seemed to be “giving rise for the first time in Irish society to a political party focusing on the single issue of immigration”. Older patients, cancer patients, surgical and gastrointestinal patients are more vulnerability to malnutrition and dehydration. Hospitals will undergo unannounced inspections as the Health Information and Quality Authority (Hiqa) attempts to tackle patient malnutrition and dehydration. Malnutrition affects more than a quarter of patients admitted to Irish hospitals. It affects their recovery and causes illness and death, said Hiqa chief executive Phelim Quinn. “Evidence shows that malnutrition and dehydration often occur together. 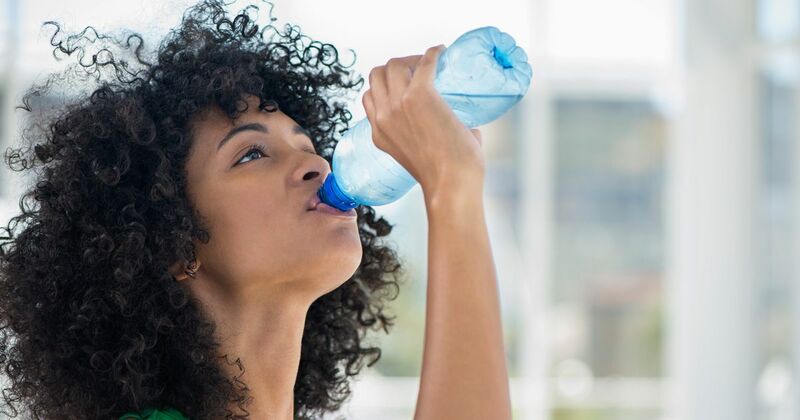 Dehydration occurs when more fluid is lost than taken in. It has been reported that patients already malnourished on admission are more likely to lose weight during their hospital stay, and their weight loss is proportionately higher,” Mr Quinn said. Under the new review guidelines, all public acute hospitals, other than stand-alone maternity and paediatric hospitals, will be expected to complete a self-assessment questionnaire and submit it to the authority. Hiqa will then carry out unannounced inspections in about 13 hospitals to verify results and understand how nutrition and hydration care in the hospital is delivered. Hiqa said in 2007 the annual costs associated with malnourished patients was estimated to be more than €1.4 billion, 10 per cent of the healthcare budget that year. About 140,000 adults are malnourished or at risk of malnutrition at any given time. Hiqa said it wants to encourage hospitals to follow evidence-based best practice in nutrition and hydration care with a focus on screening and assessment, arrangements at mealtimes and the patient’s own experience. “We want to ensure that patients are adequately assessed, managed and evaluated to effectively meet their individual nutrition and hydration needs. Initially, hospitals will self-assess their position. The information provided by hospitals in self-assessments will inform the programme of unannounced inspections, which is due to start later this year,” said Mr Quinn. An overview of the authority’s findings will be published in 2016. 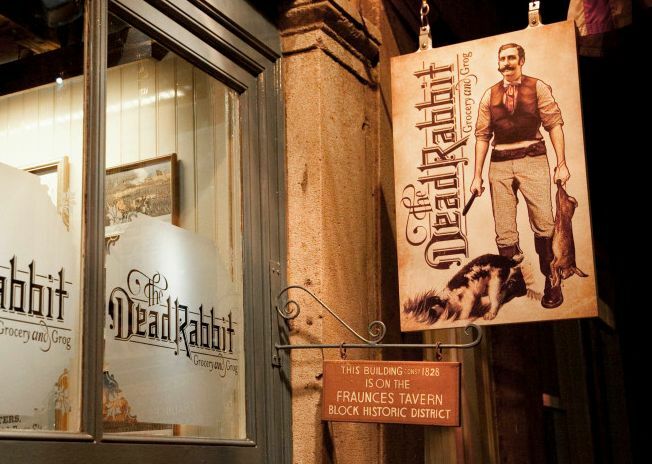 The Dead Rabbit in Downtown Manhattan which has been named as the ‘world’s best bar’. 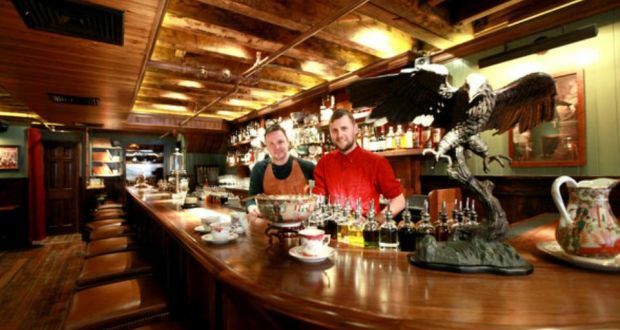 A New York bar founded and run by Belfast natives Jack McGarry and Sean Muldoon has been named the world’s best pub, winning a drinks industry competition. The Dead Rabbit Grocery and Grog, in Downtown Manhattan, won the award from 2,000 entries in the annual Spirited Awards. McGarry and Muldoon opened the tavern in February 2012 and described it as a unique take on the traditional Irish pub. The pair, both originally from Belfast, previously worked together in Belfast’s Merchant Hotel cocktail bar. It was there they met Conor Allen, an Irishman working in New York’s financial sector, who offered to support the two in setting up their own bar. The Dead Rabbit, which features an extensive selection of Irish whiskeys and cocktails, takes its name from an Irish-American street gang run by the boxerJohn Morrissey in the 1850s. Located in a 19th century redbrick building, the bar seeks to commemorate the history of the area in its name, vintage decor, and recreations of historic cocktails. As well as taking the main award, the Dead Rabbit also won the ‘World’s Best Cocktail Menu’ award. The Spirited Awards are held each year in New Orleans as part of Tales of the Cocktail, an event for global producers of spirits. A judging panel of 50 industry experts decided the winners. 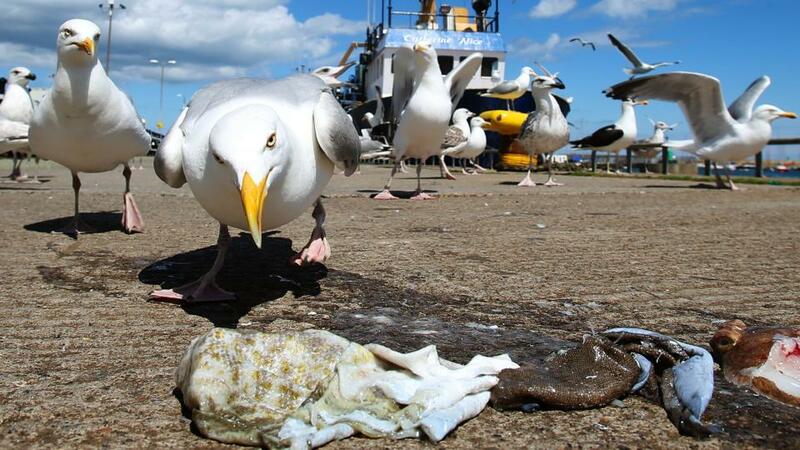 Enthusiasts cautioned against sensationalist media coverage about seagulls, including calls for protected birds to be culled. Seagulls very rarely harm people, they don’t have claws and their numbers have fallen dramatically in the past 20 years, birdwatchers have pointed out. Enthusiasts cautioned against sensationalist media coverage, including calls for protected birds to be culled, after a week where gulls have been accused of killing sheep, stealing phones and attacking motorcyclists. He added that gull populations aren’t increasing, in fact the opposite is true with numbers of the smaller herring gull declining substantially in the past two decades. The scavenging birds eat discarded food in towns and in some cases keep rodent populations down by eating rats. “It’s not the loss of a habitat, it’s just that the birds have adapted in a different way to feeding and decided: ‘we can go to the beach, we can go to seaside resorts because it’s easy pickings’,” said Mr McLaughlin. He said the last thing birdwatchers wanted was for someone to “go down to Dingle with a loaf of bread and just lace it with rat poison or something like that”. 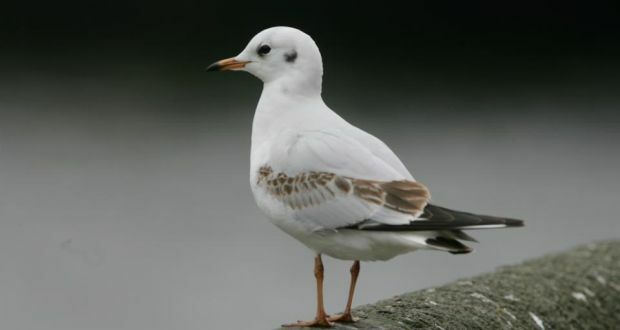 An article by Calvin Jones on irelandswildlife.com this week noted an online poll where more than half the respondents supported culling gulls. “I can’t help feeling that’s partly because people are reading and believing all of these horror stories in the media, without any balancing arguments, or a full understanding of the facts,” he wrote. Niall Hatch from Birdwatch Ireland agrees. He said the coverage has been “extremely frustrating”. But it also highlights a disconnect between Irish people and nature. “There does seem to be a lack of awareness of nature and of wild animals and of how wild animals behave. That’s something we find a lot in Ireland and it’s not necessarily the same in other European countries,” he said. The end of the world is nigh! Maybe not quite yet? A doom-laden US study in 1972 predicted that the earth would run out of food and resources, becoming uninhabitable by around 2050. The end of the world has been put back by at least 50 years by a team of British scientists. Now scientists at Anglia Ruskin University’s Global Sustainability Institute have claimed we have a little more grace – until the end of this century, or the year 2100. To come to their conclusion, the team updated the 1970s computer model used to predict how finite the Earth’s resources are. Aled Jones, co-author of the study in journal Sustainability, said: “They made a good attempt in the 1970s but it might have been too pessimistic. Ireland has been ranked in 11th place out of 55 countries in a new survey ranking nations by their reputation. 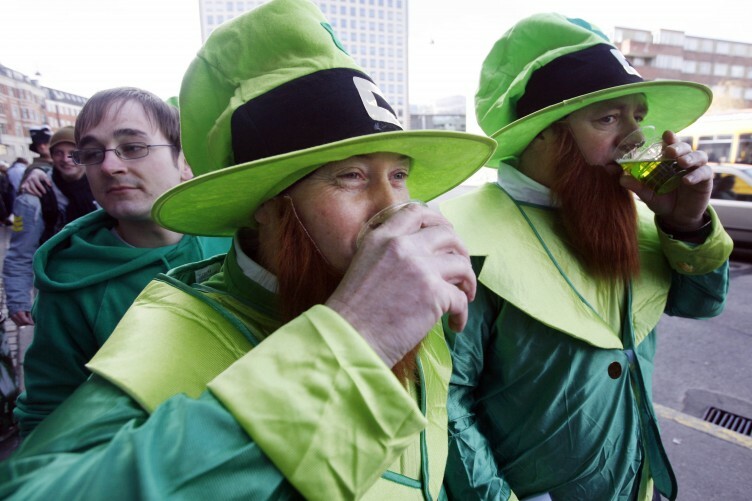 Ireland moved up two spots in the latest study, having been ranked in 13th place last year. In addition, it improved its score by 5.2%, from 68.5 out of 100 in 2014 to 72 this year. Canada regained top spot from Switzerlandin the 2015 survey with a score of 78.1. It was followed by Norway, Sweden, Switzerland, Australia, Finland, New Zealand, Denmark, the Netherlands and Belgium. With a score of just 22.5, Iraq was ranked as the country with the worst reputation followed by Iran, Pakistan,Russia and Nigeria. The Country RepTrak study measures the reputation of 55 countries based on a number of factors including trust, esteem, admiration and good feeling. The survey of 48,000 consumers from across the G8 was carried out via an online poll. Of the 17 attributes measured, the most important attribute in driving the reputation of a country is “friendly and welcoming people”, where Ireland was ranked in ninth position, unchanged from 2014. Having a “beautiful country” comes second in importance and here Ireland was ranked in sixth position, compared to ninth place last year. In addition, the Republic was placed 10th in the list of countries that consumers would like to visit. “An increasingly globalised world with intensified competition makes country reputation matter more than ever,” said Niamh Boyle, managing director of the Reputations Agency. “Attracting tourists, FDI and high-skilled workforce, improving international diplomacy, and being able to sell Irish products abroad, are all facilitated by having a strong country reputation. The EU Commission says the outline plan to achieve a budget deficit of 1.7% of GDP in 2016 was predicated on €1.2bn in expansionary measures. The EU Commission has questioned the Government’s targets for the 2016 budget, saying they do not take full advantage of strong economic growth. The commission’s intervention came as it said in a separate study that Ireland’s bailout between 2010 and 2013 was an effective recovery programme and argued the decision not to impose losses on senior bank bondholders was the correct one. The comments on the October budget came in its review of a post-bailout inspection carried out in the spring. It said the outline plan to achieve a budget deficit of 1.7% of GDP in 2016 was predicated on €1.2 billion in expansionary measures. 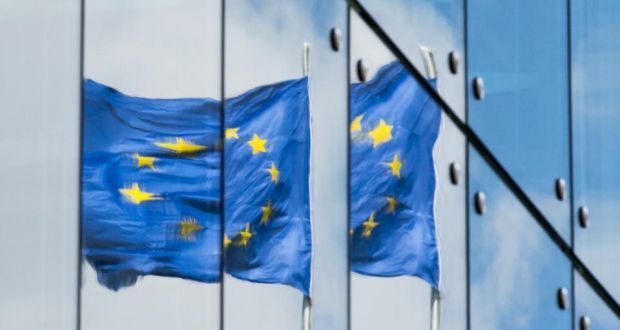 While this is at the bottom of the €1.2 billion-€1.5 billion range in the Government plan for the budget, the commission implicitly criticised moves to prepare an expansionary budget. Buffers: “Reaping the full benefits of the strong growth momentum would avert the risk of pro-cyclical fiscal policy and create the necessary buffers to address future challenges,” said the commission. “Budgetary windfalls in 2016 and beyond should be used to accelerate debt reduction and prepare for future challenges. It went on to say past experience in Ireland and other countries pointed to a tendency to overestimate economic slack and underestimate overheating in real time. 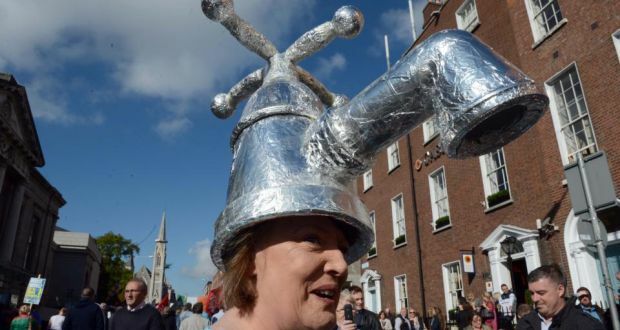 Of the water charges regime, it said the capacity of the Government and Irish Water to explain further the rationale for the reform and demonstrate that the public utility model is best will be critical. In its report on the bailout, the commission said the rescue package was effective in helping Ireland regain access to financial markets and repair its broken banks. Of the contentious decision not to “burn” senior bank bondholders, it said there was no legal framework and noted the legal and economic risks were considered too great in light of the potential benefits. “The risks of spill-overs to the Irish and EU financial systems were highly uncertain and perceived to be very high, especially given the absence of a proper EU bank resolution framework,” the report said. “The alternative of a burden sharing that only applied to the senior creditors of the institutions that were to be resolved, Anglo and INBS, would have had fewer benefits to the Irish exchequer but would still have entailed considerable risks. 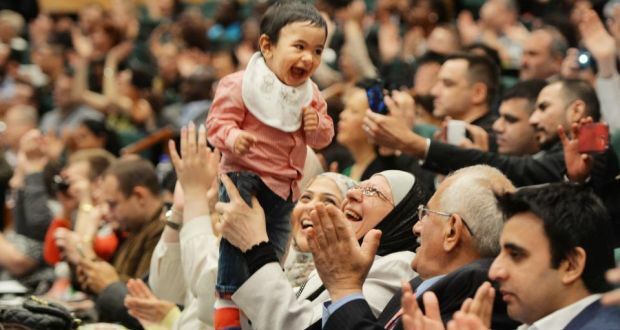 Heba Alsharbaty (mother), Khilood Jaddoa (grandmother), Yousif Hussein (10 months) and Fadhil Alsharbaty (grandfather), originally from Baghdad in Iraq and now living in Rathfarnham show their joy on becoming Irish citizens. Some 2,500 candidates from 112 countries gathered to receive Irish citizenship at three ceremonies in the Dublin Convention Centre on Friday, these were the first of three citizenship ceremonies held at the Convention Centre, July 17th, 2015. 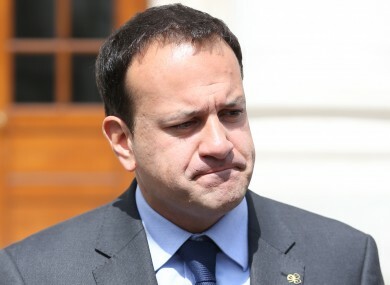 Minister for Health Leo Varadkar, attending on behalf of the Government, described his own childhood growing up in west Dublin, the son of an Indian migrant father and an Irish mother, who had herself been a migrant worker in England where they met. “Growing up in west Dublin, I was the only child in school with sallow skin and a funny surname,” he said. Mr Varadkar said he was encouraged now to see the diverse mix of backgrounds of children in Dublin and nationally “going to our gaelscoileanna and togging out for GAA”. Irish society had become “more tolerant, more inclusive and more open today than the leaders of the 1916 Rising could ever have hoped”, he said. Among those sworn in on Friday was Iranian Javad Hasani, who has been living in Ireland for nine years, although he never intended to come here in the first place. 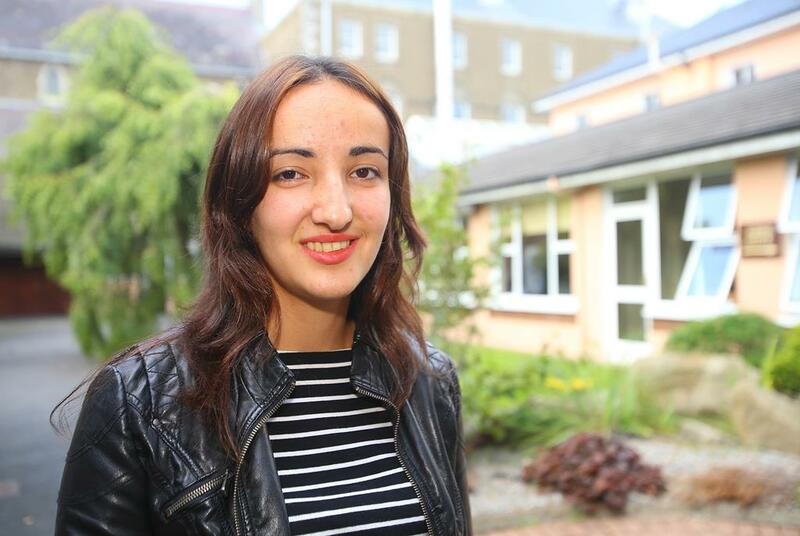 A trip to Kerry where he met a man he knew from Turkey cemented his decision to stay. He now has an Irish wife, Tracy, and “three babies”. Ninfa Chacon Bendeck, a lawyer from Honduras, came to Ireland for St Patrick’s day in 2005, where she met Tony Byrne from Donegal. “I knew the capital of Honduras was Tegucigalpa, which is where Ninfa is from, so I was able to impress her with that,” he said. They’re now married for four and a half years and live in Donegal, where Ninfa works to rehome rescued dogs. The 15 most represented countries at the ceremony were Poland, India, Romania, Pakistan, Nigeria, Philippines, Latvia, South Africa, China, Ukraine, Brazil, Hungary, Thailand, United States Of America, and the Democratic Republic Of The Congo. The presiding officer, retired Judge Bryan McMahon, said he was particularly pleased to see faces from India, Pakistan and Bangladesh, who he hoped “have brought their cricket bats and wickets” to help improve the fortunes of the Irish cricket team. Similarly, he hoped those from Brazil would bring their soccer skills to bear on the Irish football team. More than 85,000 people from 161 countries had become Irish citizens over the last four years, Judge McMahon said. Suicide prevention in young Irish people is being hampered by misunderstood symptoms and the lack of treatment awareness, according to new research. Many Irish teens are unable to identify symptoms or ways to help depression. A study conducted by psychologists at Trinity College Dublin suggests that many Irish teenagers are unable to identify signs of depression or suicidal thoughts. Out of a sample of 187 teenagers, aged between 15 and 19, only half could correctly identify depression in hypothetical cases. Meanwhile, participants were also unable to identify appropriate treatment for peers. At the same time, the report found that girls were more likely than boys to offer up ways to support a depressed friend. 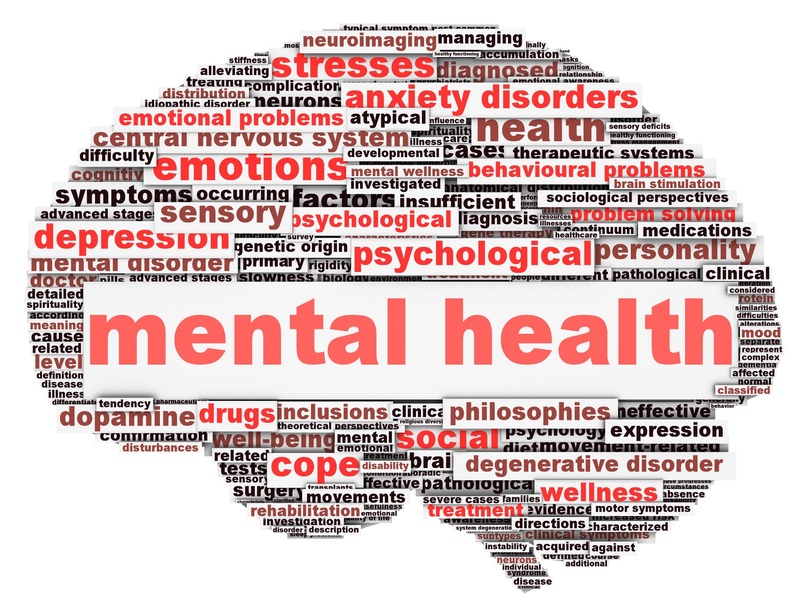 According to Sadhbh Byrne, who carried out the research with Dr Lorraine Swords and Dr Elizabeth Nixon of the School of Psychology in Trinity College, the study paints a worrying picture of mental health awareness. “While the majority of adolescents in our study showed great concern for a friend experiencing distress, their specific knowledge of the characteristics of mental disorders and potential suicidality was lacking,” she said. She said identifying depression is critical in helping people receive appropriate help. “Ireland has the fourth highest rate of suicide in Europe among 15 to 24 year olds. Our research points to the need to educate young people about the need to seek adult help for a friend experiencing emotional distress,” Ms. Byrne added. Climate change: 2015 may also push its way into the top 10 group because a strong El Nino – which climatologists refer to as the Southern Oscillation – seems to have formed. The relentless rise in global temperatures continues with scientists declaring 2014 the hottest year yet recorded. And they believe that 2015 will also land in the top 10 hottest given an overheated Pacific ocean that is releasing rising amounts of energy. Last year was amongst Ireland’s hottest years, ranking in shared fourth place with 1997 and 1949, said Met Éireann climatologists. Climate information of all sorts from 413 scientists in 58 countries was used to set 2014 as an international record-breaker in the 25th annual State of the Climate report prepared by the American Meteorological Society. The numbers show that global warming continues apace with international initiatives to curb greenhouse gas release all failing to halt the ongoing march towards an overheated world, said Prof Peter Thorne of Maynooth University. “The driver for all of this is the energy imbalance caused by the continued accumulation of greenhouse gases in the atmosphere, carbon dioxide, methane and others,” said Prof Thorne in Maynooth’s department of geography and one of the report’s editors for the global figures. “We are not on the great mitigation pathway. The accumulation is undoubtedly due to human activity,” he said. Effectively the report is a “full annual health check of the Earth’s climate system”, he said. The scientist participants collected data from countries around the world, measuring everything from temperature and rainfall to the size of the glaciers and temperatures above and below the ocean surface. Ireland is part of this effort, feeding data into regional reports for Europe. “The highlight of the regional chapter was 2014 was the warmest year on record for 25 European countries. By a long chalk in Europe, 2014 for some was the warmest experienced going back 200 years,” Prof Thorne said. For Ireland it was fourth highest with the top three hottest in order being 2007, 2006 and 1945. The report shows greenhouse gas concentrations continue to rise and for the 25th year in a row global glaciers have decreased in size, the report says. There were record high sea levels, record ocean surface temperatures and more heat is building up in the deep oceans. Three months of 2014 saw carbon dioxide levels surpassing 400 parts per million (400ppm), long considered a psychological threshold. Levels in the first report 25 years ago stood at 354ppm and from the beginning of the Industrial Revolution in 1750 up until 1990 the average was just 270ppm, Prof Thorne said. The trend towards a warming world is clear given the top 10 hottest years have all occurred since 1998. In fact that year stands out in particular because of a very strong “El Nino”, a natural phenomenon which sees the release of excess heat from surface waters across the Pacific Ocean that in turn warms up the environment. Separating 1998 means the top nine warmest years have all occurred since 2002. The report expects that 2015 may also push its way into the top 10 group because a strong El Nino – which climatologists refer to as the Southern Oscillation – seems to have formed. “When an El Nino is occurring it is burping out energy into the atmosphere, while a La Nina is absorbing energy into the ocean,” said Prof Thorne. They alternate in an irregular pattern but when an El Nino appears we can expect difficult weather, Prof Thorne said. The report describes the El Nino during 2014 as being in a “neutral state” but already data from the Pacific shows that the El Nino has taken hold. “There are record temperatures, particularly near the sea surface. The El Nino tried to appear last year but it has begun and this year is very strong,” he said. Forty officers assigned to new posts and a further 53 transferred to other positions? The changes represent Garda Commissioner Nóirín O’Sullivan’s most significant change to the force. 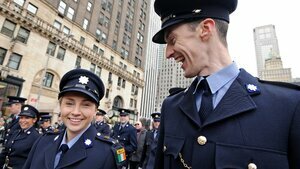 Almost half of all Garda superintendents and chief superintendents have been assigned to new posts by Garda Commissioner Nóirín O’Sullivan. The extent of the change is unprecedented in the force’s 93-year history. 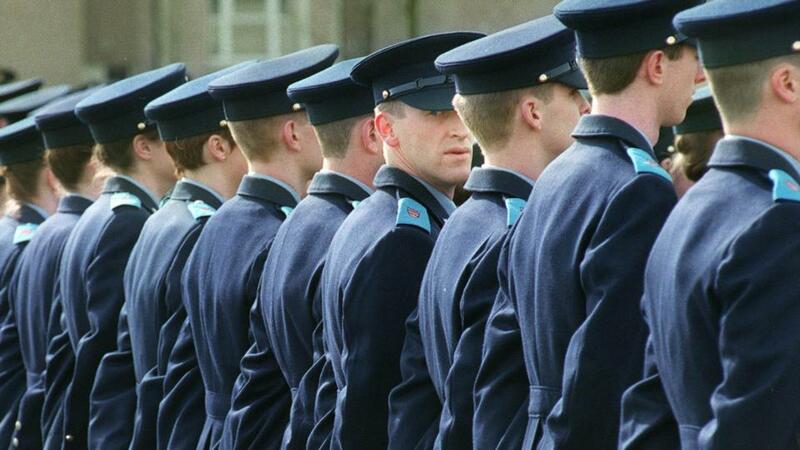 The management shake-up is designed to rebrand and reform the Garda after a period of sustained controversy and in the face of significant criticism. Some 40 officers have been assigned to their new posts after promotion and a further 53 have been transferred to new positions, though they remain at their existing rank. At chief superintendent level, there are six promotions into the rank and 12 transfers. The 18 officers moving represent 41 per cent of all chief superintendents in the force. And the 34 promotions into the rank of superintendent combined with the 41 transfers at that level represents 45 per cent of all superintendents in the force. The promotions were anticipated, but the scale of the transfers was a surprise and is the biggest reshuffle of the force in the history of the State. The extent of the changes were last night being interpreted within the force as Commissioner O’Sullivan “putting her stamp on” the Garda and making clear she was determined to reform the force. The management reshuffle represents her most significant action since being formally appointed in November. She had been in the post on an interim basis for nine months. Under the latest changes, a number of the highest profile units in the force have new officers in control and a large number of geographic divisions are also under new management. The units with new management include: Garda Bureau Fraud Investigation; Garda Professional Standards Unit; Garda National Traffic Bureau; Garda NationalImmigration Bureau; Garda National Drug Unit and Organised Crime Unit; National Bureau of Criminal Investigation; Child Protection and Human Exploitation Unit. The divisions with new officers in charge include: Westmeath; Kilkenny-Carlow; Mayo; Kildare, Dublin Metropolitan Region (DMR) West; Wicklow; DMR South Central; DMR North. “These allocations, and the resulting additional changes at these ranks, are a critical element of our transformation programme,” Commissioner O’Sullivan said. Following on from the widespread criticisms of the Garda’s approach to investigating crime contained in a major review Garda Inspectorate, a number of structural changes for the force have also been unveiled. A new “strategic transformation office” has been established to manage the reform programme that has arisen from the Inspectorate’s report and recent controversies, including those involving penalty points. The Garda National Drugs Unit and Organised Crime Unit have been combined to target organised gangs. “Risk compliance and continuous improvement” offices have been established in each region to standardise policing processes and monitor the implementation of new initiatives such as victim support services, which the inspectorate had strongly criticised. Detective superintendents in the regions will take responsibility for crime investigation, crime prevention and pro-active policing in their areas. This is seen as a decentralisation of powers from mostly Dublin based specialist units. A new chief superintendent’s post has been established to oversee the new Child Protection, Domestic Violence and Human Exploitation Unit. The commissioner said the placement of new officers in these new roles meant they would develop the skills and capacity needed to bring about the planned reforms across the force. “Along with other key elements of the transformation plan, these changes will help deliver a victim-centred, community-focused police service that seeks to prevent crime in the first instance and then, when it does occur, investigates it professionally and thoroughly,” she said. 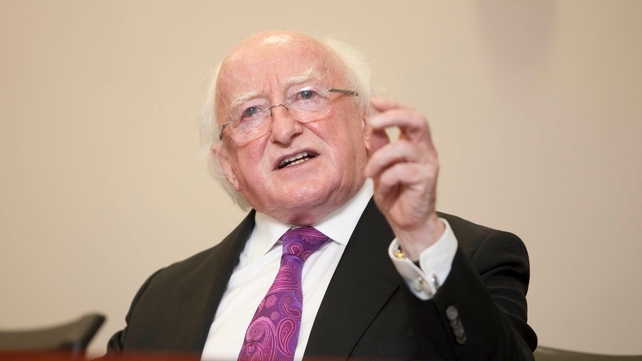 President Michael D Higgins said the fears and aspirations of those trapped in chronic job insecurity must be addressed during his Edward Phelan lecture at RCSI. Large swathes of the active populations of European countries are trapped in chronic job insecurity and their fears and aspirations need to be addressed, PresidentMichael D Higgins has said. Delivering the Edward Phelan lecture at the Royal College of Surgeons in Ireland (RCSI), he said a new class of people with precarious employment, sometimes known as a “precariat”, had emerged from the most recent period of globalisation. Mr Higgins said the extension of the “precariat” had been accelerated by the recent financial crisis. He also maintained that the shift towards precarious employment did not just affect those in low-skilled jobs. He argued that recent analysis of the education sector showed that a considerable volume of teaching and research work was carried out by “temporary lecturers”, “adjunct lecturers”, and so-called “teaching assistants”, who had no job security and must repeatedly resume their exhausting hunt for the next short-term contract. Mr Higgins said that “responding to the needs, the fears and the aspirations of those citizens among us who do not enjoy security of employment is a defining challenge for our times”. Mr Higgins said we cannot afford to let social cohesion unravel under the combined effects of the commodification of labour and the depoliticisation of economic policy. “Distinguishing between populist manipulation of the masses and genuine empowerment of the citizenry through the democratic appropriation of debates on economic issues, it is important to affirm forcefully that no single economic paradigm can ever be adequate to address the complexity of our world’s varying contexts and contingencies. “Decisions in the economic and financial fields should always remain amenable to political debate; they should not be abandoned to the automaticity of rigid fiscal rules, even less so as economists disagree over the theoretical soundness of such rules. Mr Higgins said he was calling for an examination of the assumptions associated with a brand of economics that recast the market as a general principle for regulating the economy, treating labour, land and money as if they were pure commodities. “The recent economic crisis has shown, on the contrary, that markets do require an institutional framework within which transactions between economic agents can be conducted under the auspices of a third party that guarantees their fairness over the long-term of human existence. A listener to Ryan Tubridy’s 2FM radio show has credited the broadcaster’s interview with John Connell about depression with saving his life. 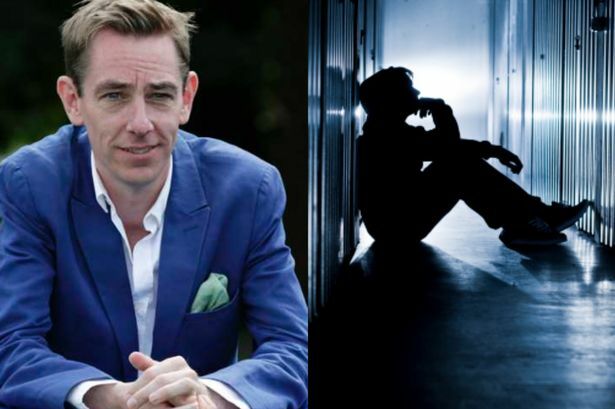 Tubridy interviewed the author on Tuesday morning about his battles with depression as a young man. The listener today emailed the show to thank Tubridy for the interview which prevented him from taking his own life as he had intended that morning. Tubridy read out the email on air. It said, “The other morning I packed myself into my car and to the whole world it would have seemed like I was heading out to work, although on this occasion my pockets were loaded iwth painkillers and antidepressants. The listener went on to reveal that he had been a victim of abuse at the age of nine, which led to more issues later in life. “As a young boy of nine I suffered abuse, something I hide from the world, something I couldn’t face, something that gave me so much guilt, something that changed my world forever,” he said. “Later in life my guilt manifested itself in addiction – alcoholism and compulsive gambling. Addiction always needs that pat on the back to say, ‘Well done son, you’re great’ but always that deep, dark self-loathing. “Nine years ago I entered a treatment centre for the gambling and alcohol addictions and one day at a time I’m still clean and sober but that’s only half the battle. The man described himself as “fifty-something year old” who sometimes “feels like that nine year old boy, afraid and alone at sea, running as fast as he can and not moving an inch”. However, he said he gained some insight from the interview with John Connell. “And yet the other morning I got hope, hope to face that fear, to realise that help is out there just like the help I got to face addiction,” he said. He said he had attempted suicide by various means four times in the past four years but “something has always saved me”. He said he was going re-engage with a counselllor and added, “As John said, there is a future. The most dangerous place I can go to is into my own head alone. Tubridy responded to the email by simply saying, ‘Well I don’t need to say anything about that”. Anyone affected by depression or issues in this article can contact the Samaritans for free in the Republic of Ireland on 116 123 or Northern Ireland on 08457 90 90 90.www.samartians.org. Coffee may protect against Multiple Sclerosis? Case-control studies suggest coffee may protect against the risk of MS. Filling up on coffee may protect against development of multiple sclerosis, according to findings from two cohort studies. 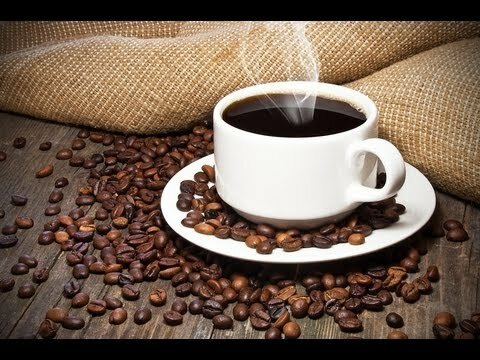 In both studies, patients with the highest levels of coffee consumption had significantly lower risks of developing MS over various time periods, Ellen Mowry, MD, of Johns Hopkins, and colleagues reported in an early-release abstract from this year’s American Academy of Neurology meeting. The authors suspect that the caffeine in coffee is responsible for the relationship. Although the balance of evidence linking coffee and Parkinson’s and Alzheimer’s falls on the side of benefit, the literature on coffee and MS is far less clear. 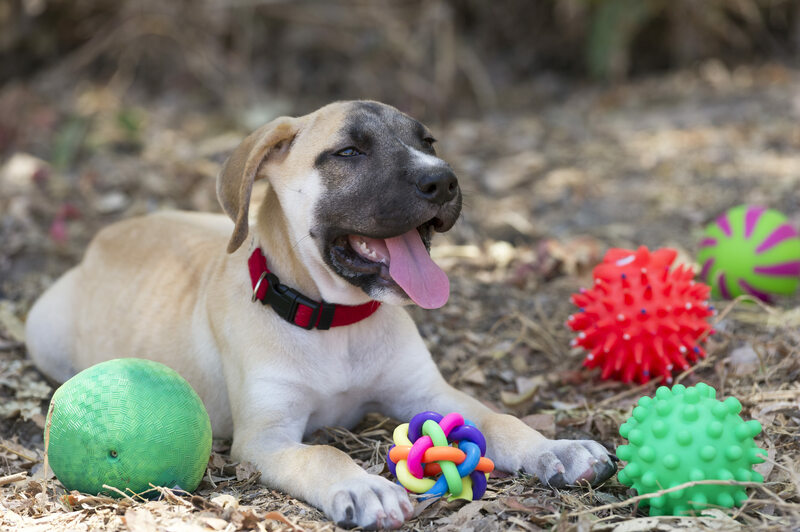 She and colleagues conducted two population-based, case-control studies. One was a Swedish study that included 1,629 MS cases and 2,087 controls. The other was a Kaiser Permanente Northern California study of 584 cases and 581 controls. In the Swedish cohort, they found that drinking coffee was associated with a reduced odds of developing MS compared with drinking no coffee at all. The reduction in risk was greatest for those who drank the most coffee. Those who reported having at least six cups a day or more had a 33% reduction in risk of developing MS compared with not drinking any coffee (OR 0.67, 95% CI 0.47 to 0.95). Similar results were seen in the northern California study. People who drank at least four cups of coffee per day prior to the index year also had a 33% reduction in risk of MS compared with those who drank no coffee, they found (OR 0.67, 95% CI 0.47-0.95). A possible explanation for the association is that the caffeine in the coffee has neuroprotective properties and may suppress the production of proinflammatory cytokines, the researchers said. Although the relationship requires further study, Mowry said coffee and caffeine should also be studied for potential effects relapses and long-term disability in MS. The Irish Wildlife Trust has revealed that a white-tailed eagle has been found dead. The discovery was made in Lisnaskea, Co Fermanagh. A spokesperson for the trust said: “We are sorry to bring you the terrible news that another white-tailed eagle has been found dead. The male white-tailed eagle, Ingar, was almost four years old and had spent most of the last year on Upper & Lower Lough Erne. “It had been hoped that he was going to set up a territory on the lake and take a mate but sadly this is not to be. “With a long life span and small reproductive output, every eagle is important in the reintroduction scheme and every loss a heavy, heavy blow. The early bumblebee (Bombus pratorum), is one of the smaller bumblebees. When recalling memories, some individuals can remember items incorrectly. Tiny, buzzing little insects known as bumblebees can be unreliable witnesses too, according to a new study published in the journal Current Biology – the first to explore false memories in any non-human animals. “We discovered that the memory traces for two stimuli can merge, such that features acquired in distinct bouts of training are combined in the animal’s mind. As a result, stimuli that have actually never been viewed before, but are a combination of the features presented in training, are chosen during memory recall,” said Dr Lars Chittka of Queen Mary University of London, who is a co-author on the study. Dr Chittka and his colleague, Dr Kathryn Hunt, trained bumblebees to expect a reward when visiting a solid yellow artificial flower followed by one with black-and-white rings or vice versa. During subsequent tests, bumblebees were given a choice between three types of flowers. Two were the yellow and the black-and-white types they’d seen before. The third type of flower had yellow-and-white rings, representing a mixed-up version of the other two. Minutes after the training, they showed a clear preference for the flower that most recently rewarded them. Their short-term memory for the flowers was good. One or three days later, however, something very different happened when the bumblebees’ memory was put to the test. At first, the bumblebees showed the same preference displayed in the earlier tests, but as the day wore on, they appeared to grow confused. Half of the time, they began selecting the flower with yellow rings, even though they’d never actually seen that one in training before. “The insects’ observed merging of long-term memories is similar to the memory conjunction errors humans sometimes make,” the scientists said. In bumblebees, with their limited brain capacity, the pressure to economize by storing overarching features of a class of objects rather than each individual object might be even more intense. “We are fascinated to learn how lifetime experiences accumulate and are integrated in making day-to-day foraging decisions,” Dr Chittka said. The full list has just been confirmed. The Government has confirmed where ministers are going for trade & tourism trips this St Patrick’s Day. The Taoiseach Enda Kenny will be making his traditional trip to the States including a visit to the White House where he will meet President Barack Obama. Tánaiste Joan Burton will be on US duty this year – with her tour taking in Boston, Pittsburgh and Philadelpia. Also heading to North America are Foreign Affairs Minister Charlie Flanagan (Canada & New York), and ministers of state Paul Kehoe (Houston, Savannah), Jimmy Deenihan(Chicago & Milwaukee), Michael Ring (Phoenix, LA) and Paudie Coffey (St Louis, Indianapolis). Only Michael Noonan, the Finance Minister, is staying in Ireland to mind the shop along with the Attorney General Máire Whelan. Health Minister Leo Varadkar is heading to Mexico. Speaking today, Foreign Affairs Minister Charlie Flanagan insisted that the tips abroad represent “very, very good value”. “Last year for example, as an immediate consequence of our ministerial visits €5 million was gained at a cost of €300,000 for the entire event.”This year, each department pays for its own ministerial engagement. I am quite satisfied that this is money really, really well spent. Elsewhere – Alex White and junior minister Tom Hayes will be racking up the most air miles, with trips to New Zealand and Australia respectively. On the European front – jobs minister Richard Bruton is heading to Paris, arts minister Heather Humphreys goes to London, and agriculture/defence minister Simon Coveney is Italy-bound. Junior minister Ged Nash will be off to Sweden. His colleagues in the minister of state ranks,Joe McHugh, Simon Harris, Dara Murphy, Aodhán Ó Ríordáin, Kevin Humphreys, Ann Phelan and Damien English will also be heading on relatively short-haul trips. Elsewhere, junior health minister Kathleen Lynch will be off to Russia, minister of stateSean Sherlock will go to Ethiopia, Children’s Minister James Reilly will go to India, Environment Minister Alan Kelly to China, Education Minister Jan O’Sullivan to Brazil, and Brendan Howlin to South Korea and Japan. Full details were disclosed at a press event at the headquarters of ding*, an international mobile phone top-up service, in Dublin this afternoon. 60% of the Irish public think that the economy is still in bad shape. That is according to a Eurobarometer survey carried out in November last year, which shows that women and the working class are much more likely to say the economy is heading in the wrong direction. Men and the upper class are more likely to say it is improving. Professor Richard Sinnott helped to carry out the study. He says that despite almost two-thirds of the public saying the economy is yet to recover – with 20% saying it is in a ‘very bad’ state – that is much improved on the depths of the crisis. The study also found that 53% of Irish people say they have a ‘positive’ image of the EU – the highest percentage since 2009, and an increase of 12 points since spring 2014. 16% of respondents said they had a negative view of the EU, with 29% have a neutral image. However the study also found that 61% of Irish people say they have difficulty in paying their bills from ‘time to time’ or ‘most of the time’ – well above the EU average of 37%. The survey did pick up some optimism about the future state of the economy. 51% said Ireland is going in the right direction – up almost 10% on the previous year, and the highest number of people making that statement since the Celtic Tiger days back in March of 2006. IHF president Stephen McNally and chief executive Tim Fenn: occupancy rates in Dublin rose by 3% in 2014 but hoteliers in other areas said they had not done so well. Hotels and guesthouses generated €6.45 billion in 2014 and are expecting a third consecutive year of strong growth – but the positive figures mask huge regional differences. One third of hoteliers will not make a profit in 2015, according to members of the Irish Hotels Federation, who claim overhanging debt, commercial rates and lack of incentives to entice tourists beyond traditional “hotspots” are still threatening profitability. Speaking at the opening of their annual conference at the Slieve Russell Hotel in Ballyconnell, Co Cavan, a number of hoteliers said they had deals with suppliers and staff to cut costs following the economic collapse in 2008. 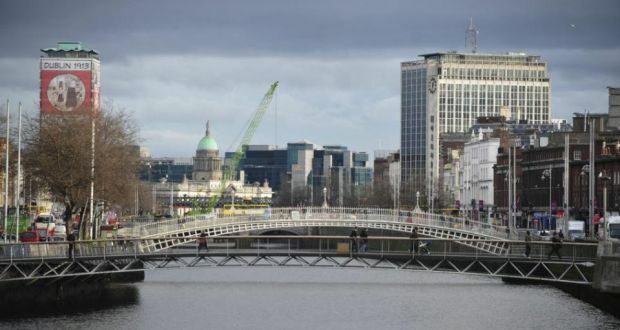 While occupancy rates in Dublin rose by 3% in 2014, and are set to grow by at least that much again this year, hoteliers in other areas said they had not done so well and were now facing calls for “pay back” from staff and suppliers. But while occupancy rates in Dublin are in the order of 73%, occupancy rates in the northwest have remained static at just 54%. A number of speakers at the conference said the recovery was fragile and the reduced 9% VAT rate continued to be vital to the industry. Hotels Federation chief executive Tim Fenn said regional tourism required greater Government support as the slower pace of recovery in some areas is a “major challenge for many hotels and guesthouses”. He said hoteliers continue to face a significant skills shortage in the sector, with 83% of those surveyed by the federation citing difficulties hiring trained workers to fill craft and entry-level positions. The cost of doing business in Ireland was also identified by the survey as a major challenge, with hoteliers citing excessive local authority rates as the single most pressing issue stifling cost competitiveness within the sector. But the survey, which was carried out earlier this month, found federation members were more optimistic about 2015 – as long as the economic recovery continues. Barring economic mishaps, some seven out of every 10 hotels said they plan to take on additional staff over the next 12 months. In relation to the outlook for the coming year, compared to 2014, some 73% of respondents said they were seeing an increase in business from the island of Ireland in the first couple of months of 2015. This contrasts with 20% who are experiencing static business levels and 7% who are seeing a decrease in business from the domestic market. Some 55% of those who took the survey said they expected an increase in bednights from Britain, while 26% reported an increase in bookings from Germany and just 18% reporting an increase in bookings from France, so far this year. Talbot Hotels has operations in Wexford, Carlow, Waterford and Cork. Philip Gavin says the group rode out the recession by doing deals with suppliers and discounting on rates in a bid to get people in. Rates dropped as low as €99 per person sharing for three nights and three dinners – an offer he says was put in place across all the hotels and which will be in effect until the end of this month. His hotels in Wexford and Carlow are seeing growth in volume of 2.5 to 3% –but not in rates per room, he says. Elaina Fitzgerald-Kane is convinced the recovery in the hotel industry is a two-speed thing. Dublin, she says, is a destination in itself, but Limerick is “just another small city” for tour operators. This year the hotel rate in January was the same as in January 2014, but occupancy was up “marginally”. “We are not seeing what Dublin saw,” she says, but adds that being 10 minutes outside Limerick is a help. In relation to visitors from North America, she regrets there is not a more focused marketing drive to point out the recent exchange rate benefits to US travellers. Knightsbrook Hotel is operating with the blessing of the National Asset Management Agency. It is owned by the Cusack family who operate four hotels between Trim and Navan. While there is obviously overhanging debt, “the hotel is a very profitable business”, says Curran. The business model of the four-star hotel was strictly weddings, conferences and golf, but in recent years they “say no to no one”. 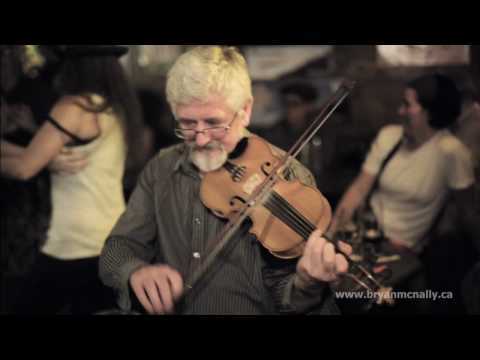 Concerts are now a big part of the business, with Daniel O’Donnell, Christy Moore, and old-time dancing all featuring at the weekend. Dr Declan Egan told a Medical Council Fitness to Practise hearing that medical cutbacks meant that he was under considerable pressure on the day he operated patient Lorna McKeogh (36), clipping both of her fallopian tubes though he only had consent to clip one. The consultant gynecologist, who recently retired from his practise at UHG and runs a private Galway Fertility Unit at Rahoon in the city, said day beds in the Hospital had been cut from ten to just four and this had a knock on effect on waiting lists. He believed the consent form “covered” him to clip both tubes and claimed he carried out the procedure on patient Lorna McKeogh (36) in her “best interests”, in a bid to improve her chances of getting pregnant through IVF. Finding a problem with both Fallopian tubes rather than just one as suspected, had left him with “a dilemma”, he told a Medical Council Fitness to Practise hearing today. He believed she would not be able to get pregnant other than through IVF and explained that clipping the tubes improved her chances of becoming pregnant in this way. 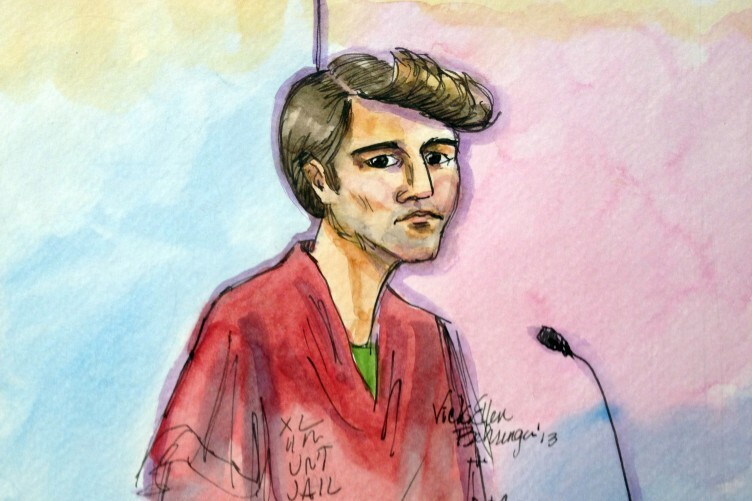 He claimed that he believed a line in the consent form covered him to carry out an additional procedure if something else was found necessary. Dr Egan is before the fitness to practise committee of the council, where he faces an allegation that he performed a clipping of both left and right hydrosalpinges (fluid-filled fallopian tubes) “in circumstances where this was not consistent with the consent form dated June 2nd, 2010”. Arising from this, he is accused of failing to meet the standards of competence that could reasonably be expected of a consultant obstetrician/gynaecologist. Ms McKeogh was 32 when she was referred by her GP for gynaecological treatment after suffering a number of miscarriages. She was first seen by a doctor, Dr Eithne Lowe at the Bon Secours hospital in Galway but it was unable to carry out a tubal ligation because of its Catholic ethos, the inquiry was told. 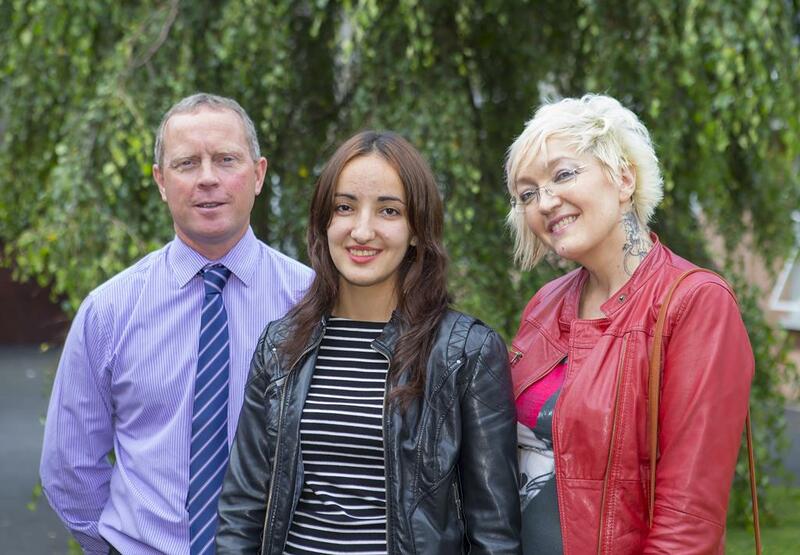 Ms McKeogh was referred to Dr Egan in UHG, who performed the bilateral tubal ligation under total anaesthetic. Doctors had suspected hydrosalpinx or water filled sacs on the right hand Fallopian tube. However Dr Egan told a Medical Council Fitness to Practise hearing today that when he examined the patient during surgery found hydrosalpinx also on the left hand side and so had taken the decision to clip both..
After the surgery, Dr Egan said he had told Mrs McKeogh that he had informed her what had happened in a four bedded gynaecology ward, with only a curtain screening them so it was not a setting for a detailed consultation. Mrs McKeogh has told the hearing that she was upset by this conversation. “I was the messenger and the message was not good,” he agreed today. And Dr Egan said he would have assumed that the patients’ own doctor, Dr Lowe would have covered all the scenarios in clipping Fallopian tubes because “women will intuitively think hanging onto the tubes is the best answer” when in fact it is not, in the case of IVF, he claimed. He told his counsel, Eileen Barrington SC that Ms McKeogh and her husband had both continued to smoke around 15-20 cigarettes a day, saying this was a very significant feature in her case as smoking caused miscarriage by damaging the DNA in sperm, can bring on the menopause up to four years early. He also claimed there was “a lot of smoking and a lot of drinking” on both sides. Coupled with Mr McKeogh’s low sperm count, Dr Egan said: “That combination screams IVF to me,” he said. Dr Egan acknowledged his note of the operation was “rather rushed” but said this was due to pressure he was under on the day, with seven c-sections on the list. He was unable to consult with colleagues during the operation as none nearby had reproductive experience. He would have found it “odd” to consult with Mr McKeogh, who was in legal terms a third party. He said consent forms for tubal ligation in Galway Hospital used to provide for the husband’s signature but this practise ceased in 2009. When it was put to him that Ms McKeogh suffered distress when she received invitations to attend IVF meetings at Dr Egan’s private clinic, Dr Egan said was due to the “efficiency”of secretaries in noticing that she hadn’t attended an initial meeting on IVF. Meanwhile Dr Egan claimed most of the stress Ms MsKeogh said she experienced over the IVF process arose from the fact she had “turned her back” on the local clinic to undertake treatment “miles away” in Dublin. 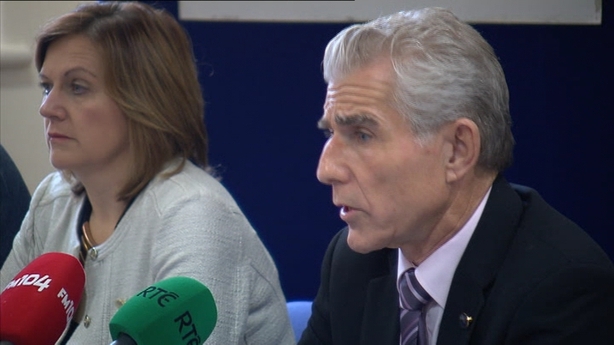 Questioned by the panel from the medical council, Dr Egan explained that he had clipped the tubes because “free oxygen radicals” within infected fluid can damage sperm and eggs and prevent a pregnancy. He said his clinic had the best IVF success rate in the country and deals with approximately 1,000 patients a year, with around 350 in his public practise, from which he retired last month, and 670 between three consultants at the private clinic. He said that in “99% of cases” tubal disease is bilateral, or on both side. The case is due to resume at the end of March. Researchers have found that the brains of curious preteens show greater connectivity between regions associated with decision making and “state of the body” compared to their less daring peers. The study is scheduled to be presented at the upcoming American Academy of Neurology annual meeting in April. Adolescence is often associated with a period of seeking new experiences and exploratory behavior, but little research has explored the source of this increase in behavior. 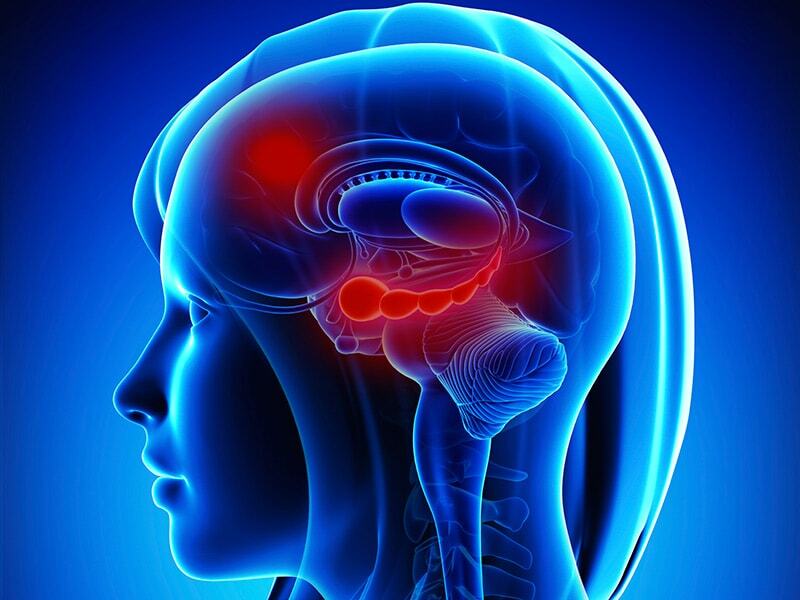 Previous studies have linked willingness to explore to the rostrolateral prefrontal cortex area of the brain that is responsible for high-level decision making. After completing a reward-based task, researchers from the University of California San Francisco split a group of 62 girls aged 11 through 13 into two groups, explorers and non-explorers, and performed MRI scans. Those in the explorer group had a stronger connection between the rostrolateral prefrontal cortex and posterior insula and putamen regions compared to non-explorers. The posterior insula and putamen seemed to influence the rostrolateral prefrontal cortex. The research may eventually help identify teens at risk of engaging in risky or unsafe behaviors. At the forthcoming American Academy of Neurology’s 67th Annual Meeting in Washington, DC, in April, researchers from the University of California-San Francisco will present results from a study that suggests different brain processes are at work in preteens who are open to experimenting and exploring new things, compared with their more reticent peers. 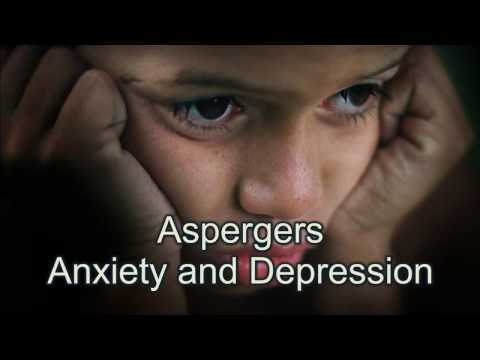 Study author Dr. Andrew Kayser, who is a member of the American Academy of Neurology, says that “the beginning of adolescence is associated with seeking new experiences and increasing exploratory behaviors,” but that little research has been conducted to measure that increase, or examine what processes are involved in this experience-seeking behavior. Labour could come back with just five ‘guaranteed’ safe seats, the Tánaiste Joan Burton and three of her fellow senior Labour ministers look set to lose their seats at the next election, as the party is guaranteed to win just five seats. A detailed analysis of newly redrawn Dáil constituencies based on Labour’s current poll rating of just 6pc, shows that just five TDs appear safe to return in the next Dáil. In 2011 the party won 37 seats and now holds 34. Worse still for the party, just one Cabinet minister – Brendan Howlin – looks set to return to the next Dáil. Both Ms Burton and her deputy leader, Alan Kelly, are vulnerable to losing their seats. The other TDs who appear safe are Brendan Ryan (Dublin North); Emmet Stagg (Kildare North); Willie Penrose (Longford Westmeath) and party chairman Jack Wall or his son Mark, who could run in his place in Kildare South. Mr Howlin has successfully been returned to the Dáil in Wexford in every election since 1987. Despite his tough role as Public Expenditure Minister, he looks assured of keeping his seat. Senior Labour Party figures have conceded that with the party’s slump in support, combined with a reduction in Dáil seats from 166 to 158, a large number of their TDs stand “little or no chance” of retaining their seats. “If an election was called tomorrow, the five named are the only ones who look safe to return, and largely that is because all of them have strong personal votes in their areas. When the tide is out it is out,” said one senior figure. In Ms Burton’s case, she shares the highly-competitive Dublin West constituency with Health Minister Leo Varadkar, which means that the two political heavyweights are locked in a “do-or-die” battle for the last seat. “Joan is likely to be very squeezed, given the rise of the left across Dublin since 2011. But it is definitely a race between herself and Leo for the last seat,” said one party figure. Ms Burton topped the poll in Dublin West at the last election, being the first person elected to the Dáil nationally. However, she previously lost her seat in 1997. Mr Kelly, while coming from a Labour stronghold in Portroe in the constituency of Tipperary North, is now also vulnerable. It is not certain he will retain his seat. Education Minister Jan O’Sullivan is seen as having very little chance of keeping her seat, despite her promotion to the senior Cabinet last summer. Communications Minister Alex White could also lose out as the Dublin South constituency has been reduced from a five-seater to a three-seater. There has been some speculation that he might move to the new five-seat Dublin South-West constituency, as it is expected that Pat Rabbitte will not run again. The party looks set to be all but wiped out in Munster, which would see several junior ministers and other leading party figures lose out. Junior ministers including Kathleen Lynch (Cork North Central), Seán Sherlock (Cork East), as well as Banking Inquiry chairman Ciarán Lynch look set to miss out, as do Clare TD Michael McNamara and Cork South-West TD Michael McCarthy. Other junior ministers Ann Phelan (Carlow Kilkenny), Ged Nash (Louth), Kevin Humphreys (Dublin Bay South) and Aodhán Ó Ríordáin (Dublin Bay North) appear unlikely to retain their seats at the party’s current poll ratings. 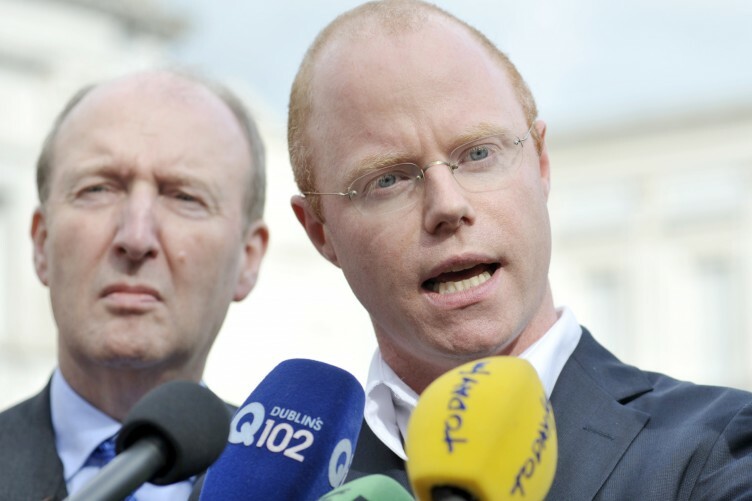 Former party leader and Tánaiste Éamon Gilmore is also looking doubtful to return in the Dún Laoghaire constituency. Mr Gilmore will be hoping that Ceann Comhairle Seán Barrett does not decide to stand again, as his automatic election to the Dáil would turn an already tough four-seater into a near impossible three-seat race. Mr Gilmore has maintained a deliberate silence since stepping down as leader last May, but is said to be “fully concentrating” on his constituency and ensuring he at least has a chance of holding his seat. 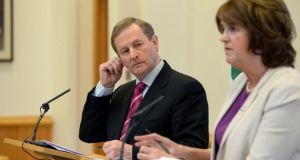 Taoiseach Enda Kenny and Tánaiste Joan Burton at a press conference after Cabinet meeting on jobs. The Government’s target for achieving full employment has been brought forward by two years from 2020 to 2018, Taoiseach Enda Kenny confirmed after today’s Cabinet meeting. 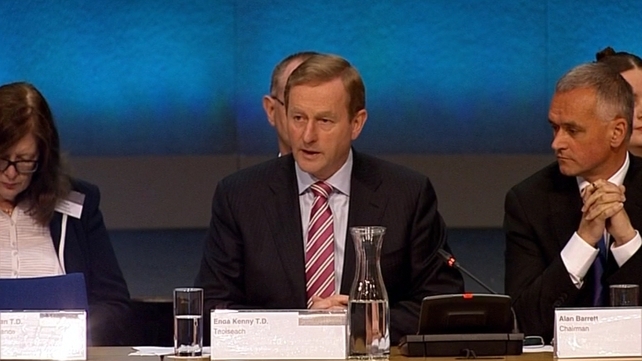 Having 2.1 million people at work was an “ambitious and realistic goal”, Mr Kenny said. Mr Kenny said unemployment was still too high and was the main reason for unfairness and inequality in society. 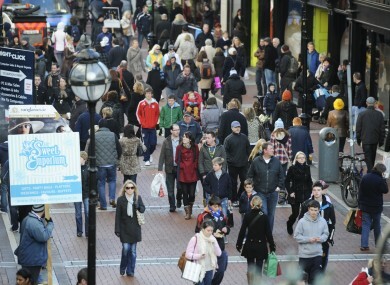 The Taoiseach noted that the unemployment rate had dropped from 15 per cent to 10.6 per cent last December. He said that although that was a “substantial movement”, the unemployment rate was still too high and the Government wants to reduce the rate to below 10 per cent. Mr Kenny confirmed the Low Pay Commission, under Minister of State for Business and Employment Ged Nash, would meet in the next few weeks. Mr Kenny also said an “overall economic roadmap” would be published and debated as part of a forthcoming economic statement. Tánaiste Joan Burton said 2015 was a year of opportunity in terms of getting people back to work. Ms Burton said that at the peak of the boom employment stood at 2.1 million but that figure fell at the height of the economic crisis to 1.8 million people. Ms Burton said apprenticeships and traineeships for young people would be prioritised, saying they had been successful in countries like Germany and Austria. Under the Back to Work Family Dividend, people could retain social welfare benefits of up to €30 per child a week. Ms Burton said there would be increased funding for Jobs Plus, the scheme under which employers are paid by the Government to take on people who have been long-term unemployed. The scheme would also be extended to include young people. Ms Burton also said many construction workers had been “sidelined” in the employment market but would be helped to upskill by the Government. 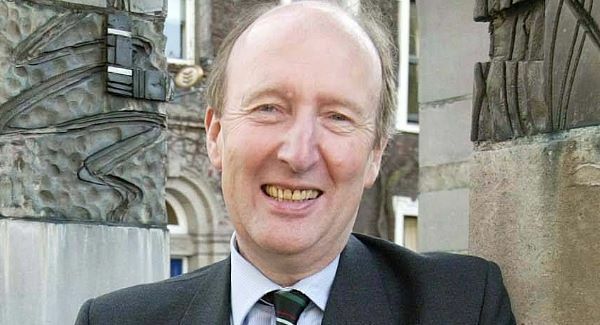 Shane Ross has said that there is still a future for his alliance of independent TDs, despite Stephen Donnelly’s decision not to take part. The Wicklow-based TD today said he would not be joining the alliance – but could yet join another group, if one emerges. Deputy Ross has set up the group alongside fellow independent Michael Fitzmaurice. He says he is disappointed that Stephen Donnelly will not be joining – but that he is happy with how big the alliance has become. “I believe that the radical idea which we have is catching on, which is basically to have an alliance of TDs without taking a party whip,” he said. “That’s something, I think, he doesn’t like, and he’s perfectly entitled to it. “But I want to see something completely and utterly new, and a change in Irish politics.” He says but alas Stephen Donnelly has ruled himself out of the alliance of independent deputies being put together by Ross and Roscommon/South Leitrim’s Michael Fitzmaurice. Mr Donnelly, a TD for Wicklow, had been linked with the grouping in the last week, after Ross and Fitzmaurice recently confirmed that they were teaming up. “At this stage, I have concluded that it is not something I will be joining. I believe all challenge to the stale cartel that is Irish politics is welcome, and I wish those involved luck in their endeavours,” he added. The development follows increasing speculation over who will and who won’t be joining the grouping. Other Independent TDs, Michael Healy Rae, Maureen O’Sullivan and Catherine Murphy have poured cold water on the prospects of them joining the Ross Aliiance. Tipperary North TD and former Fine Gael Minister Michael Lowry has ruled himself out of the group saying he has no plans to join. Donegal TD Thomas Pringle said he expects to have conversations with Mr Ross and Mr Fitzmaurice this week now the Dail is back. 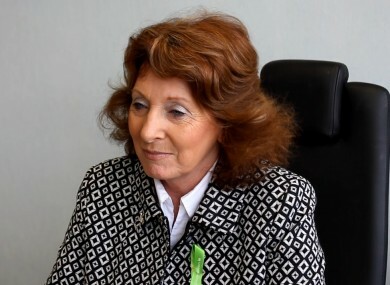 Previously, former Labour Minister Roisin Shortall had expressed an interest in joining an alliance but is known to be cool on the idea of linking up with members of the Reform Aliiance. 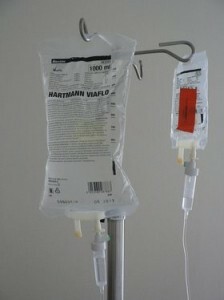 Chemotherapy is administered to a cancer patient via intravenous drip at Duke Cancer Center in Durham, N.C., in September 2013. Scientists Dr. Jennifer Gill, Prof. Richard Sullivan and Prof. David Taylor released their report on Wednesday. Their work was funded by pharmacy chain Boots UK. Age-standardized cancer deaths rates in Britain have fallen by more than 20 per cent since 1990, the researchers note. However, there are still 325,000 new cases diagnosed in the U.K. each year, and 150,000 deaths. 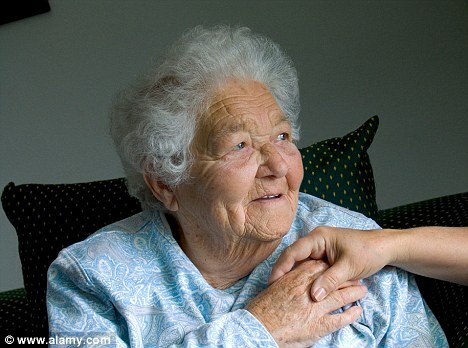 Just over half of deaths from cancer in Britain today are among people aged 75 and older, they say. The researchers credit the decline in deaths to a number of factors, ranging from smoking cessation campaigns that have led to a drop in tobacco use and related cancers, effective early diagnostic strategies and more advanced surgical techniques and treatments. continuing with widespread public health campaigns aimed at smoking cessation and weight loss. enhancing access to screening and diagnostic services. boosting vaccination rates for viruses linked to cancer, including HPV and hepatitis B.
increasing screening rates for early cancer indicators, such as bowel polyps. improving awareness among patients with genetic risks for cancer and testing for the BRCA gene mutations that are linked to breast and ovarian cancers. “In future decades combinations of innovative medicines coupled with enhanced radiological and surgical interventions will, provided research investment levels are maintained, mean that many more individuals with advanced cancers will be cured, or enabled to live with them in a fulfilling manner,” the researchers write. The disease does pose numerous challenges, they warn. Cancers involve a wide variety of cell types and impact so many different organs in the body, and can be impacted by our genes in myriad ways. “Such realities mean that there cannot ever be a single, low cost, ‘magic bullet’ technical solution to overcoming all the challenges that cancer presents,” they write. Indeed, there remain some 14 million new cancer cases diagnosed around the world every year, and 8 million deaths. Some estimates suggest those figures could rise to 26 million new cases and 17 million deaths by 2030, the researchers write. “Overcoming cancer in the 21st century will require a holistic and empathetic approach to understanding and meeting both individual and community needs,” they say. Irish food and drink exports rose by 4% to €10.5 billion last year – equating to a record €200 million per week. Irish food and drink exports have grown by 45% or €3.2 billion since 2009, out-performing all other sectors of the economy. To put this in context, Irish merchandise exports as a whole grew by just 5% during the period. The strong performance, detailed in Bord Bia’s latest Export Performance and Prospects report, is all the more remarkable given it took place against a backdrop of global recession and several industry-wide food scandals, most notably the horse meat debacle of 2013. The report, however, warned that 2015 will be a challenging year for the sector with the ending of milk quotas set to boost supply to a market already beset by falling prices and under pressure from weaker-than-expected global demand . Bord Bia also noted that while a tightening of supply would stabilise beef prices, which fell sharply last year, consumer demand in the State’s main export markets remained weak. However, it said the opening up of the US market to Irish beef imports, where prices are at an all-time high, provided an opportunity for Irish producers. According to its report, food and drink exports rose by 4% to €10.5 billion last year, equating to a record €200 million per week. The strongest performing division was dairy product and ingredients which rose 3% to exceed the €3 billion mark for the first time. Prepared food exports increased by 8% to €1.8 billion and seafood exports also rose 8% to €540 million, despite the Russian ban on imports which displaced a significant portion of Irish exports. Drinks exports also put in a positive performance, climbing 1% to €1.2 billion, driven in the main by strong whiskey sales which offset a fall-off in beer and cider sales. Irish whiskey is now the fastest-growing spirit in the world with seven million nine-litre cases exported last year; this is projected to grow to 25 million by 2030. Significantly, most of the growth in Irish food and drink exports occurred outside of Europe, including an almost 40 per cent increase in food exports to China which reached €520 million last year. Bord Bia chief executive Aidan Cotter said there had been a “significant shift” in the destinations for Irish exports in 2014 with international markets showing renewed growth, reflected in a 15 per cent increase in international or non-EU trade, which stood at €3 billion last year, accounting for 29% of total food and drink exports. Overall, the value of exports to Asia jumped 45 per cent to reach €850 million. There were also increases in exports to North America (€740 million, +18%), the Middle East (€330 million, +1%) and Africa (€610 million, +9%). While it remains Ireland’s most significant export market, the share of exports destined for the UK eased slightly though the value showed little change at €4.2 billion, representing 40% of total food and drink exports. “Every parish in this country has a stake or a dividend in this growth,” he added. 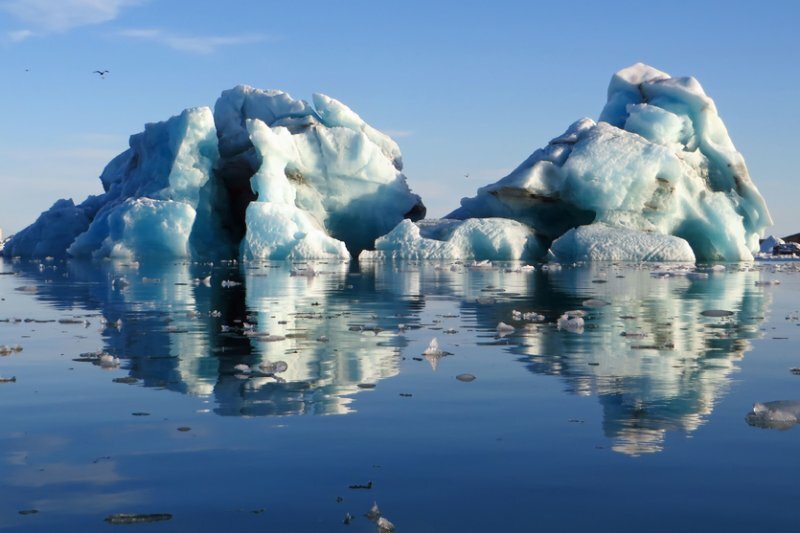 Melting ice is contributing to the rise in sea levels. Sea levels have risen significantly faster in the last two decades than has been thought, according to new research. Previous estimates had indicated that sea levels rose between 1.5 and 1.8 millimetres per year throughout the 20th century. 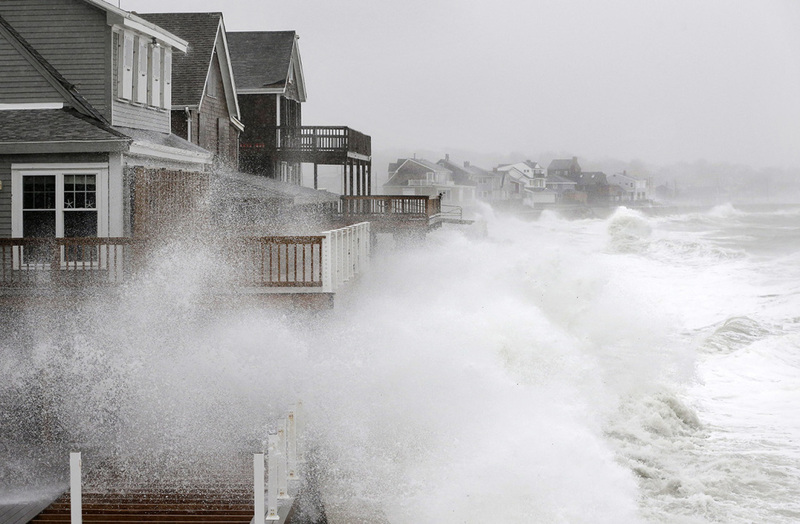 However, since 1990 sea levels had risen by about three millimetres annually. US researcher Eric Morrow, from the Department of Earth and Planetary Sciences (EPS) at Harvard University, said: ”What this paper shows is that sea-level acceleration over the past century has been greater than had been estimated by others. Scientists conceded that the increase in global sea level from 1900 to 1990 had been over-estimated by as much as 30%. The new study, published in the journal Nature, suggests that from 1901 until 1990 the figure was closer to 1.2 millimetres per year. But they confirmed that current estimates of sea levels were accurate, suggesting a rapid increase in the speed at which levels are rising. To obtain their improved estimate of 20th century sea levels, the researchers looked at the task in a new way. Typically estimates of sea level rise are produced by dividing the world’s oceans into sub-regions and gathering records from tide gauges – yard sticks used to measure ocean tides. Rates of sea level for each region are then averaged together to create a global estimate. The new technique involved taking account of sea level ”fingerprints” – patterns of change produced by on-going effects such as ice age signals, the melting of land ice, ocean circulation changes, and the heating and expansion of the oceans due to global warming. Dr Hay said: ”We are looking at all the available sea-level records and trying to say that Greenland has been melting at this rate, the Arctic at this rate, the Antarctic at this rate, etc. To the scientists’ surprise, it quickly became clear that previous estimates of sea-level rise over most of the 20th century were too high. ”We expected that we would estimate the individual contributions, and that their sum would get us back to the 1.5 to 1.8 millimetres per year that other people had predicted,” said Dr Hay. Health doesn’t have to be an unsolvable crisis. There are small changes that can make a big difference. It’s hard not to feel sick at the thoughts of our health service. Since the new year began, we’ve heard nothing except there’s almost 600 sick people on trolleys in A&E waiting for admission and do bear in mind you no longer get admitted to an Irish hospital unless you are extremely unwell. 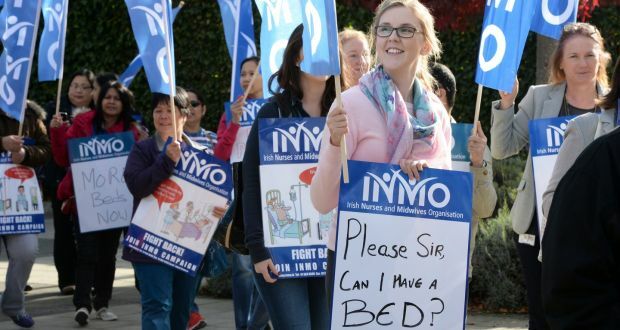 The INMO have called for all elective procedures to be cancelled for the first half of January, to ease the pressure, and nurses are serving strike notices at Beaumont hospital. Health is a mess. On the other hand, the country is doing well, we’re told. We’re going to grow at the fastest rate of any economy in Europe this year. Unemployment is down and we took €1.2bn more into the coffers than was expected. Now, I may just be a simple GP, but Ministers Noonan and Varadkar, may I make two humble suggestions to you? Firstly – we’ve approximately 800 elderly patients in hospital, waiting on long-term beds in the community. They don’t need to be in hospital but they can’t go home. Long-term beds aren’t cheap. They cost an average of €1,000 per week. But the reason those patients are in hospital isn’t because there are no long-term beds – it’s because there’s no funding for those beds. They aren’t moved out of those hospitals because HSE managers know that the minute they are, those acute hospital beds will be refilled immediately, by those poor souls on trolleys in A&E. And then the HSE will be paying for two beds where they are currently only paying for one. It’s called bed blocking – are you still with me? So here’s a radical thought. Do just that. Fund those long-term beds. Those 800 people at €1,000 per week will cost us about €40m per year. Do that and free up 800 acute beds for the seriously ill. In effect, it’s the equivalent of providing and running – in bed terms – a whole new hospital at a minimal cost to the State. Also, do bear in mind, that because these long-term beds will be provided in the private nursing home sector, which – unlike the HSE – will put on additional staff to cope with additional patients, there will be an increased tax take, which will go some way to offset that €40m. Secondly, there’s a huge amount of services provided by our hospitals at massive cost that could be provided by GPs at a fraction of that cost. I’m thinking minor surgery, chronic disease management, or mental health services. Transfer funding from secondary care to primary care and get these services provided faster, cheaper and nearer to patients. This is actually already a stealth policy of the HSE, but they are hoping to transfer these services without any funding – which means the already over-stretched GP service is unable to actually provide them. Pointless. Transfer with funding and new GPs practice nurses and physios etc. 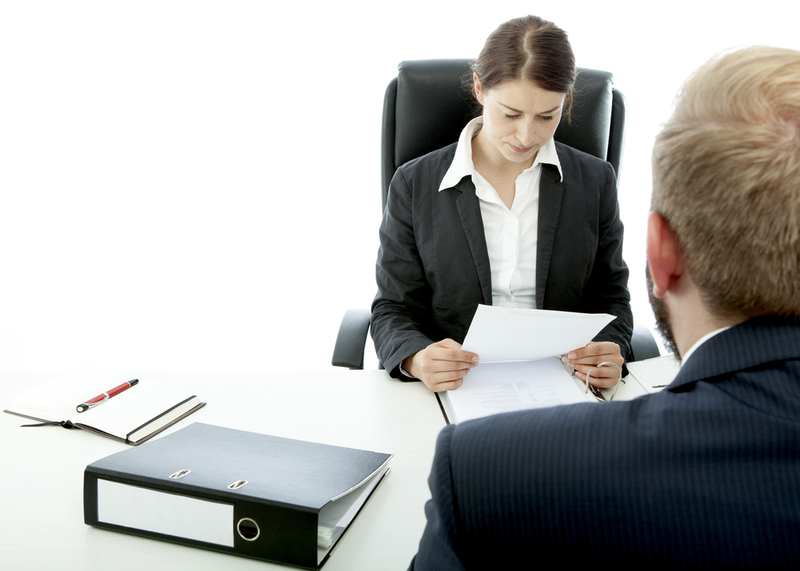 can be hired – and the patients benefit hugely. This could actually be budget neutral as the funding to secondary care could be cut (by no longer hiring hugely expensive agency staff) by the same amount as primary care is increased. To illustrate: if it costs €300 for a surgeon in St Vincent’s to remove your mole, your local GP could remove four people’s moles for that money – without waiting lists, and down the road from you. What a GP can’t do is remove them for free, Ministers. Incidentally, it also frees up the surgeon for proper surgery – we GPs can’t do everything. So there’s a thought for the unsolvable problem that is health. For the princely sum of €40m (out of the €1.2bn perhaps? ), free up 800 acute beds; put elderly patients back into their local communities where relatives can visit them more easily; and provide faster, cheaper, more efficient health services through primary care. Happy New Year, Ministers. You’re welcome. The amount of money collected by Revenue last year was up in a number of categories, more than €450m was collected through the Local Property Tax last year, according to the Revenue Commissioners, with 95% of liable households paying the charge. The LPT was introduced in the middle of 2013 and recorded a compliance rate of 91% during its first six months, with €242m raised during the period. Revenue said the figures showed a “strong compliance culture among our customers”, adding that it had received €39m in payments for this year’s charge. Revenue’s headline results for 2014 confirm the Exchequer’s receipt of almost €41.3bn over the course of the year. There was a 4.5% increase in the number of PAYE employees during the year to 2.4m – though this includes people with multiple employments and those in receipt of occupational pensions. Those registered for self-assessed tax returns was up 3.5% to 639,487, while the number of companies registered for corporation tax was 4.2% higher at 167,783. The agency also collected €610.4m through audits and compliance checks, compared to €551.9m in 2013. A further €222.7m was received through collections enforcement, up slightly on the previous year, while €88.5m was gained from settlements with tax defaulters. There was a sharp rise in the value of seizures during 2014, which stood at €122.1m last year compared to €44.3m in 2013. Seizures of cocaine and heroin accounted for the largest portion of this, representing €73.4m of the total amount, while cigarette and tobacco detections accounted for almost €30m. 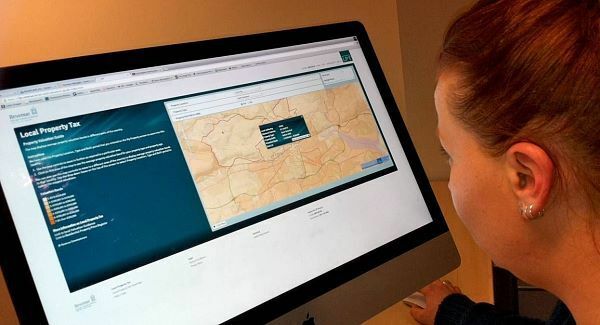 Revenue said it received more than 2.2m calls to its telephone services during the year, with more than 660,000 relating to the Local Property Tax. Customers made contact online more than 5.7m times, while 2.3m letters were received in the year. In addition to a high compliance rate for the Local Property Tax, Revenue said compliance was also strong amongst most businesses. In 2014, large companies with a tax liability above €500,000 had a compliance rate of 99%, while firms with a tax liability of €75,000 to €500,000 had a rate of 97%. Other cases, which would include companies with smaller returns, had a lower rate of compliance, however, at 83%. 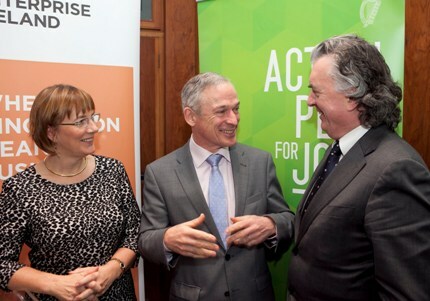 Minister for Jobs Enterprise and Innovation Richard Bruton, and Enterprise Ireland chief executive Julie Sinnamon, pictured at the Enterprise Ireland end of year review. Enterprise Ireland backed companies created almost 20,000 new jobs last year, resulting in the highest net jobs gain in the history of the state agency – a total of 8,476. In its end of year statement, the agency said software and services sector accounted for the strongest net jobs growth, adding 2,092 jobs. The agency said client companies last year recorded the lowest level of job losses since 2000, with more than 180,000 people (almost 10 per cent of the workforce) now employed in Enterprise Ireland supported companies. Figures from the IDA Ireland, released last week, also revealed a record year for jobs growth in 2014, with multinationals creating 15,012 jobs and a net increase in employment of 7,131. Minister for Jobs, Enterprise and Innovation Richard Bruton said the positive figures did not happen by accident, adding that they were the result of extra resources and trade missions. “We have put in place a raft of measures to deliver on this, including doubling the number of trade missions, recruiting extra staff in overseas markets, and delivering new funding supports for Irish exporting companies,” he said. Mr Bruton said the Government’s Action Plan for Jobs was creating a powerful engine of Irish enterprise, alongside the strong multinational sector, and that Ireland has the capacity to create full employment by the end of 2018. Enterprise Ireland chief executive Julie Sinnamon said 69% of the net job gains were outside of Dublin, adding that the level of increased employment achieved is “remarkable”. “We continue to relentlessly focus on ensuring the right supports are available for clients at every stage of growth. “This focus — coupled with our priority to support entrepreneurship across the regions, and develop strong, export focussed, ambitious Irish companies that can win new business — will mean even more jobs for Ireland over the next 12 months”. A study on literacy and numeracy in primary schools has identified the first ’statistically significant’ rise in standards in over 30 years. A study on literacy and numeracy in primary schools has identified the first “statistically significant” rise in standards in over 30 years. The 2014 national assessments of English reading and mathematics showed a major improvement in students’ performance at second and sixth class, compared to the last study in 2009. 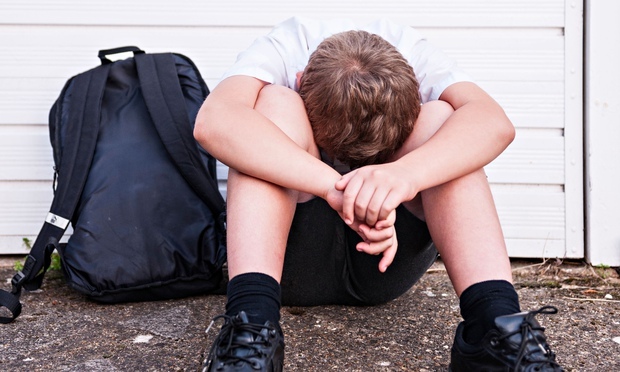 However the researchers found that despite an overall progress there has been “no real reduction in the gap” between pupils in disadvantaged urban schools and pupils in other school types. The Educational Research Centre study cited particular concern over “the large proportion of very low achievers in reading” in the most disadvantaged schools, namely those falling into Deis (Delivering Equality of Opportunity in Schools) band 1. The agency, which carries out the assessments for the Department of Education at five year intervals, said it was the first time since 1980 that increases in performance had been recorded. While it cautioned against putting too much store in a single set of results, it pointed to the impact of improved teacher training and professional development, including the use of new methodology, as well as spending more time on literacy and numeracy in class. Progress in vocabulary and comprehension was found to be well ahead of a target set in 2011 National Literacy and Numeracy Strategy. Progress in algebra and data analysis was also found to be ahead of target but to a lesser degree. The study showed girls are still better readers than boys but the gap has narrowed since 2009, from 14 points to 7 points among second class pupils, on a 250-point baseline for the tests. Reading skills among second class pupils in Deis band 1 schools rose by 14 points compared to 2009 but the improvement was greater (27 points) in Deis band 2 schools (these are schools deemed less disadvantaged than band 1). The latter also saw a significant increase in maths scores (up by 29 points) whereas there no significant change in band 1 schools. The most disadvantaged schools also saw no significant increase in reading at sixth class whereas band 2 schools saw a 14 point increase in scores, deemed as “substantive important”. In reading, the mean score for Deis band 1 sixth class pupils was 233. This compared to 246 for Deis band 2 schools and 263 for all schools. In maths, the mean score for Deis band 1 was 233 compared to 241 for Deis band 2 and 262 for all schools. Minister for Education and Skills Jan O’Sullivan welcomed the upward trend overall, acknowledging the work of teachers, parents and students in improving standards. Cautioning against complacency she said:“The results leave scope for improvements, especially in maths and in Deis schools”. She has asked for a review of the strategy to be brought forward to this year from 2016. An additional €6 million had been provided for the implementation of the strategy in Budget 2015, bringing the annual budget to €13.8 million and further measures would be considered, she added. One proposal mooted by her predecessor Ruairí Quinn was for Leaving Cert honours maths to be made a requirement for entry into teacher training. Asked whether or not she would support such a measure, Ms O’Sullivan said she was awaiting advice from the Teaching Council. “We can be generally fairly sure as of now that the qualifications of people going into teaching are very high,” she said. The primary teachers’ union, the INTO, also welcomed the test results. General secretary Sheila Nunan said they were probably the result of several different factors including supports for disadvantaged schools, changes to teacher education, improvements in learning support allocations to schools and an increased focus on literacy and numeracy. However she singled out the fact that only qualified teachers were now licensed to teach in primary schools. Research by the organisation a decade ago showed more than 1,400 primary classes were taught by people who had no teaching qualifications. 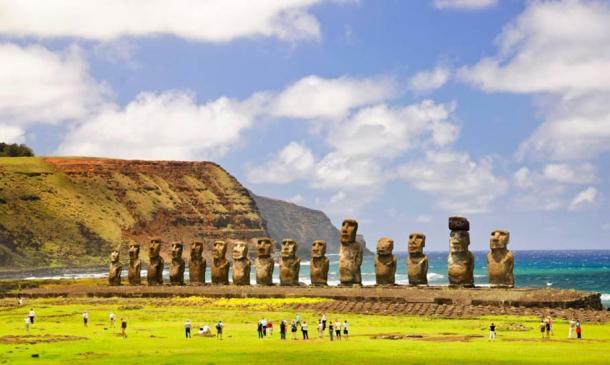 What caused the demise of Easter Island’s population? Researchers may have solved the mystery behind what caused the extinction of the Rapa Nui people of Easter Island. Recent findings suggest significant changes in land use and dynamics that occurred within the community before the European arrival may have been linked to the people’s demise, the University of Auckland reported. “The results of our research were really quite surprising to me. 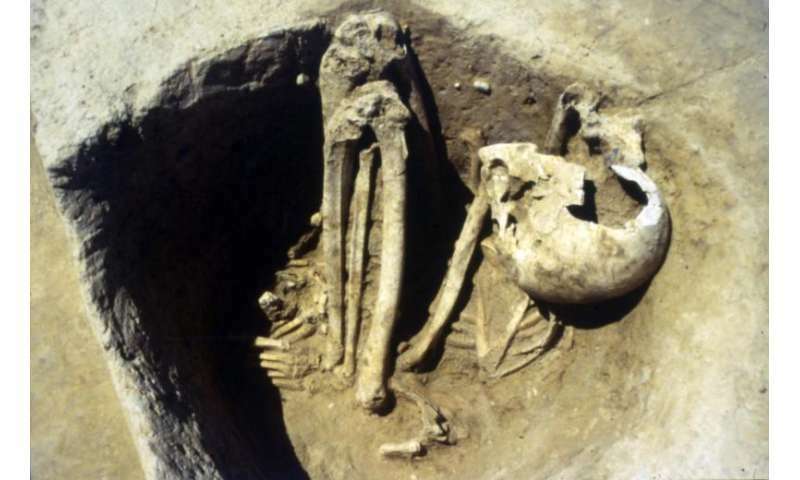 Indeed, in the past, we’ve published articles about how there was little evidence for pre-European-contact societal collapse,” said study co-author Thegn Ladefoged of the School of Social Sciences in the Faculty of Arts. To make their findings, the scientists looked at more than 400 obsidian artifacts from six sites around the island. Obsidian absorbs water after being exposed to air, allowing the team to measure the amount of water in the artifacts and determine how old they were. These findings helped the researchers determine land use and population fluctuations based on the number of tools made during each time period. Sites on the northwest coast of the island showed an increase in population that occurred between 1220 and 1650 followed by a significant decline. The second site on the northwest coast (which was wetter and less prone to drought but had low soil fertility) saw an increase in use from 1200 to 1480 that sustained itself before declining around 1705. The third site, which was both rainy and fertile, showed an increase in use starting at 1250 and remaining consistent until about 1850. Europeans are believed to have arrived on the island around the year 1722, but these findings suggest the indigenous was already struggling before this occurred. “It is clear that people were reacting to regional environmental variation on the island before they were devastated by the introduction of European diseases and other historic processes,” Professor Ladefoged concluded. 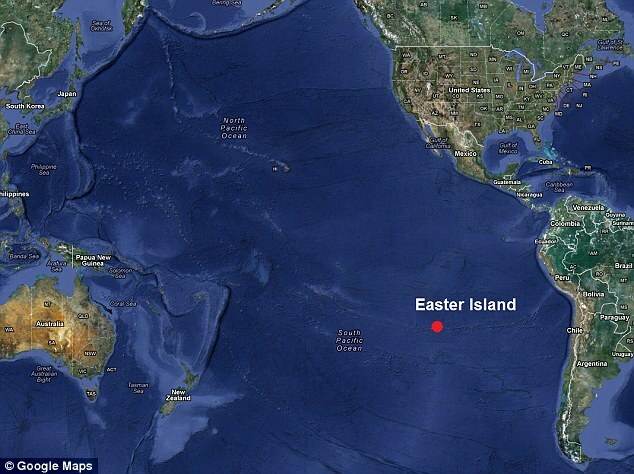 In the future the researchers plan to examine individual dwelling on the island in hopes of gaining further insight into the interaction between Easter Island’s aboriginal people and the natural environment.